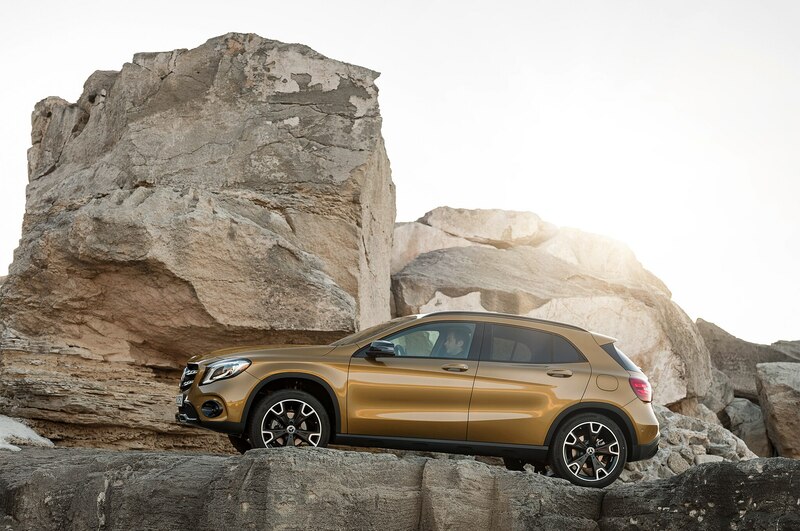 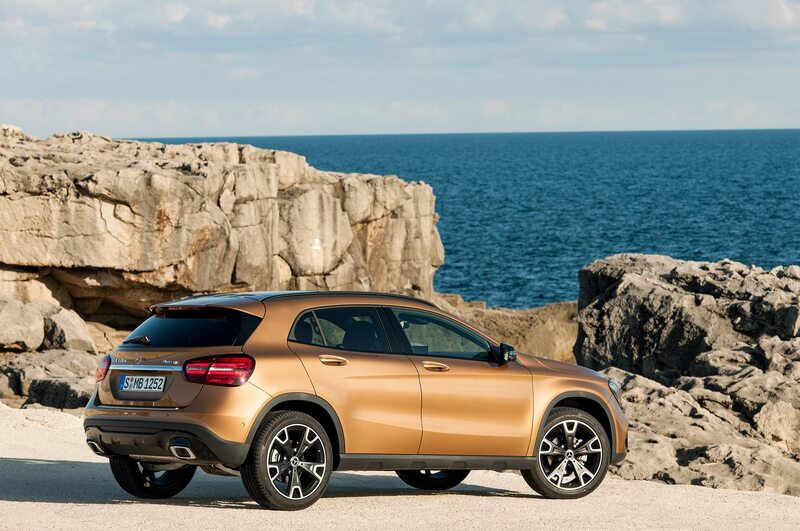 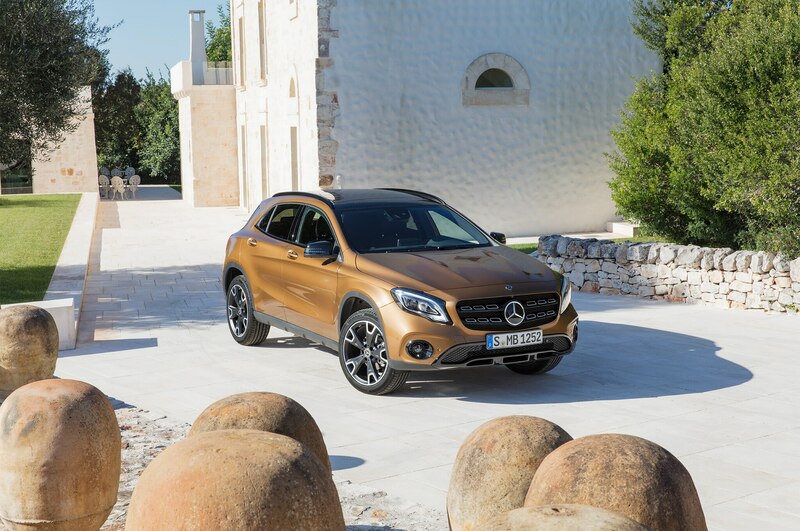 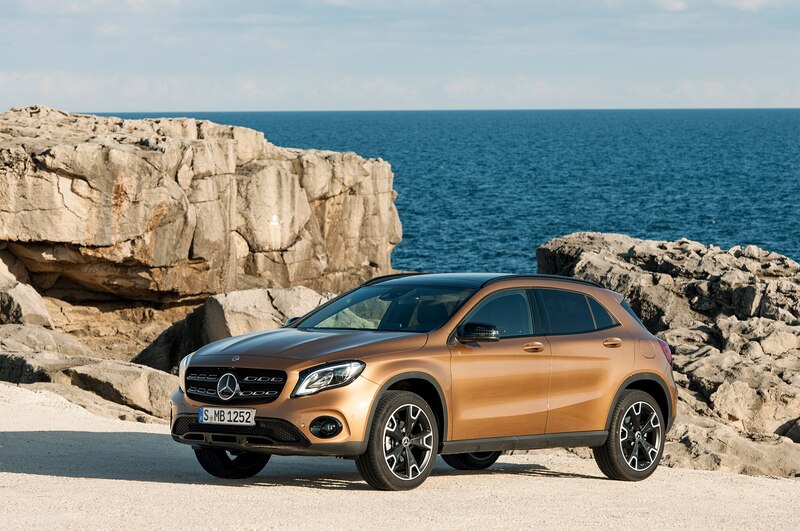 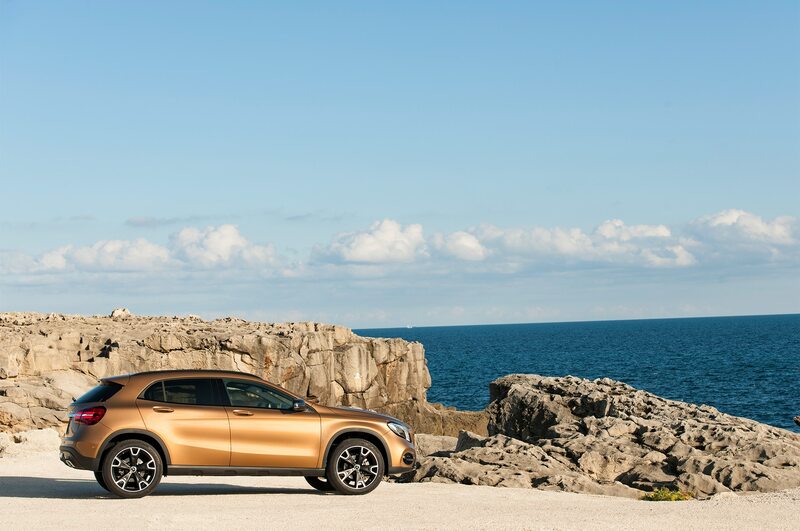 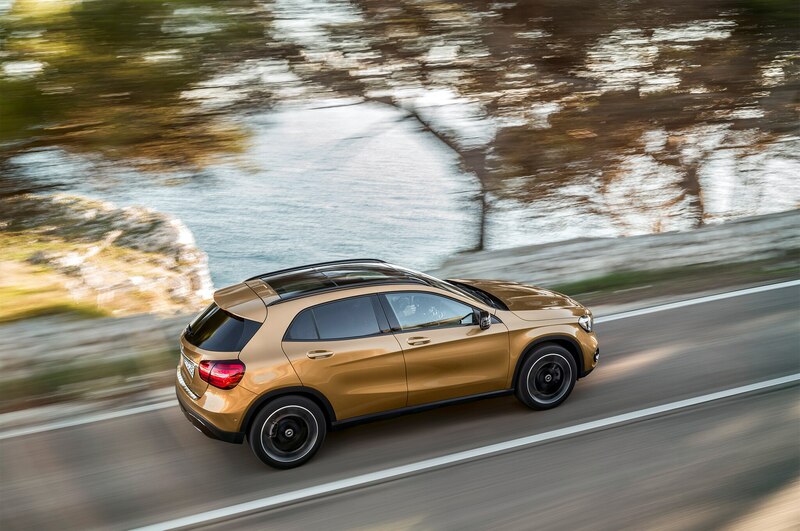 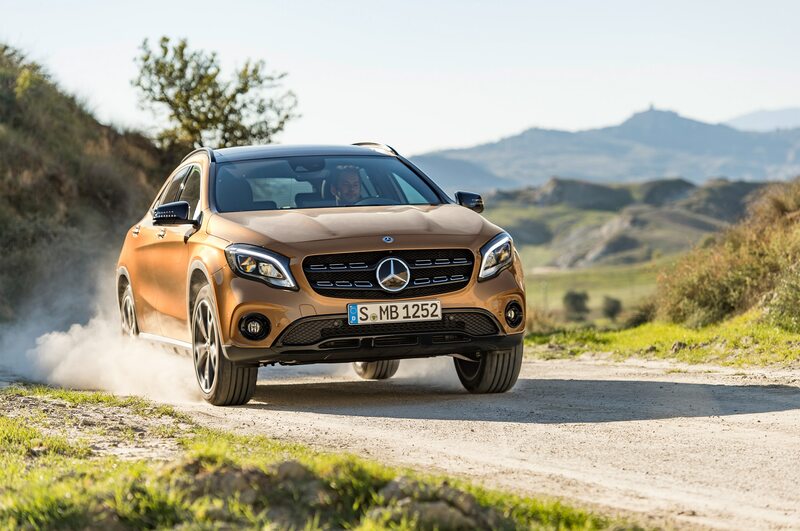 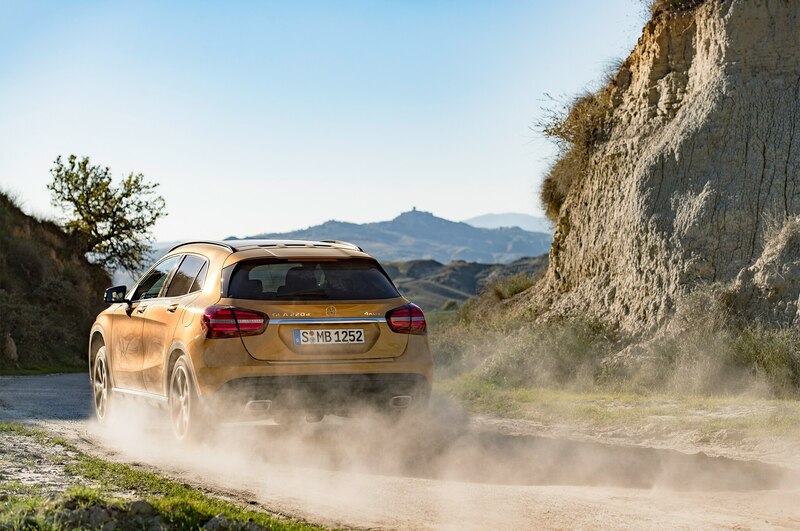 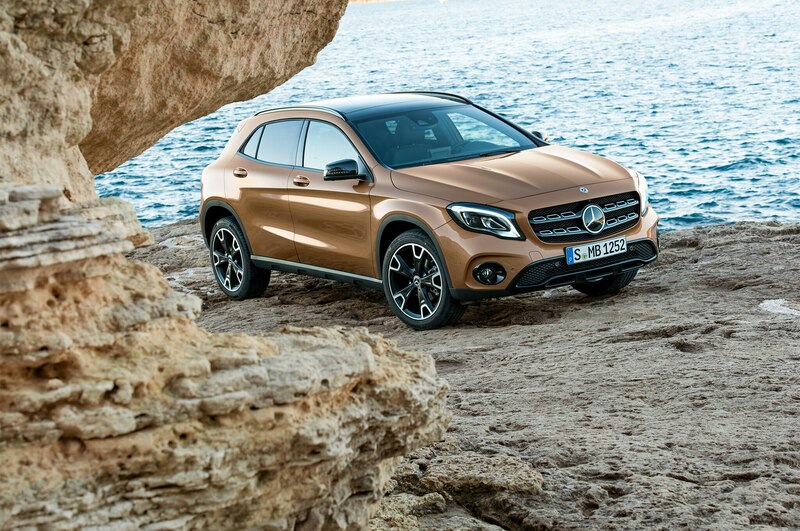 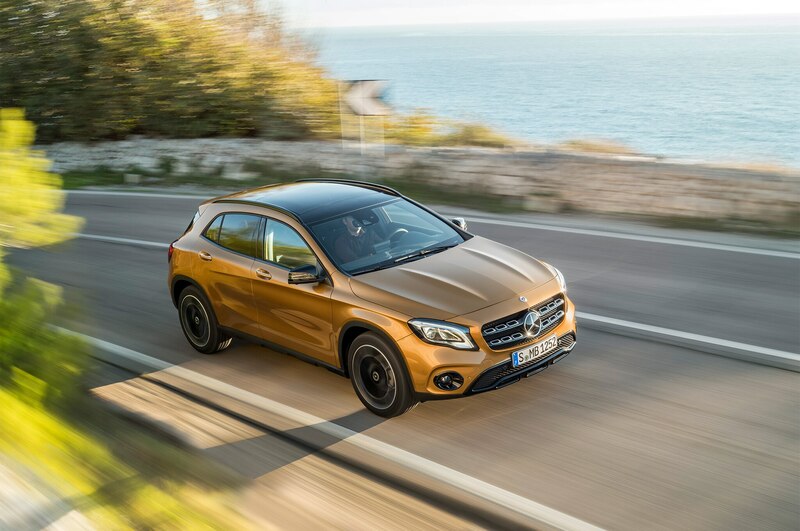 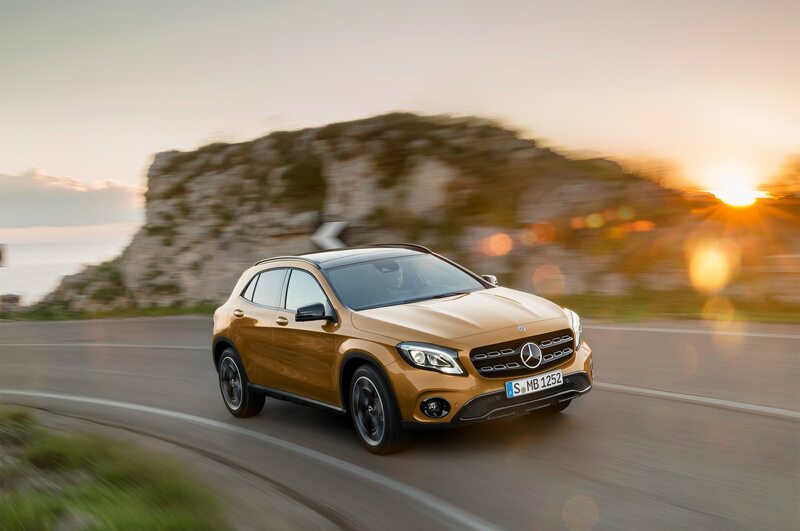 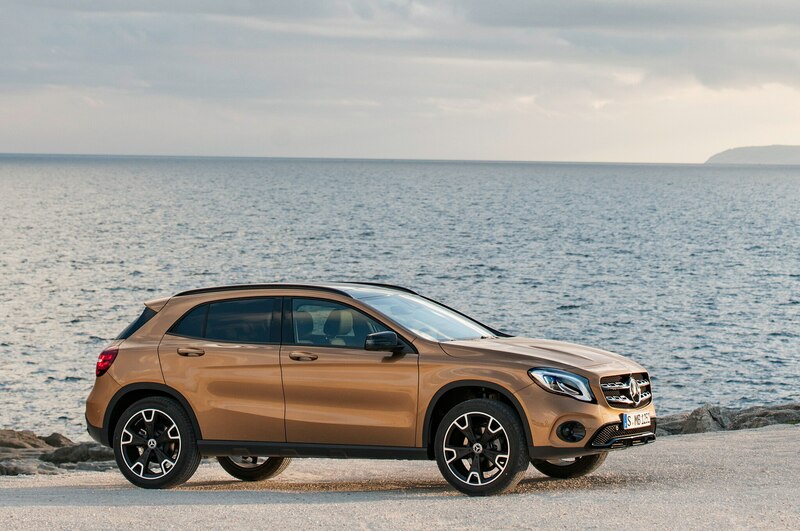 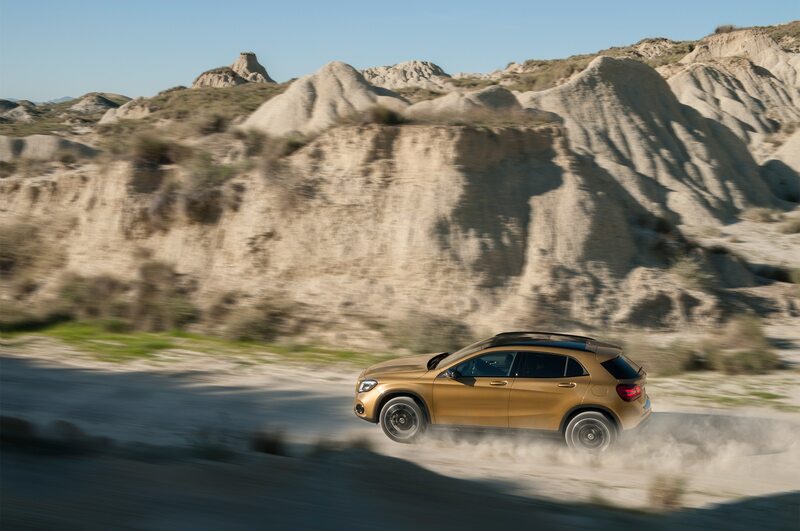 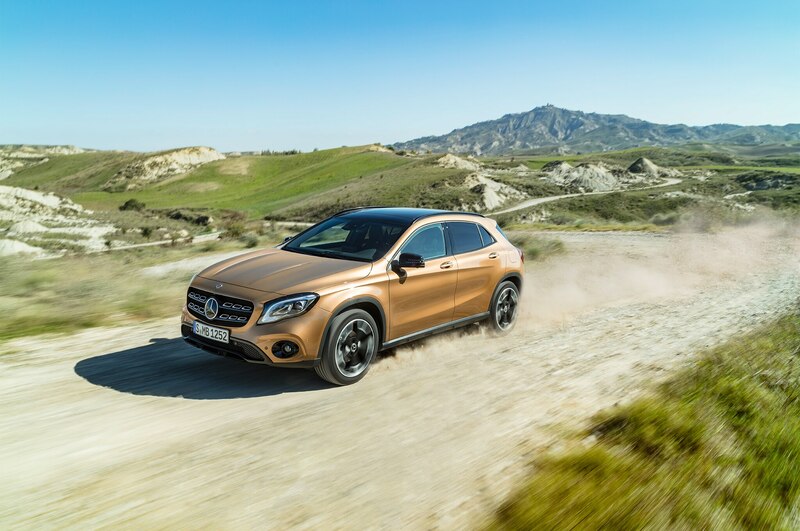 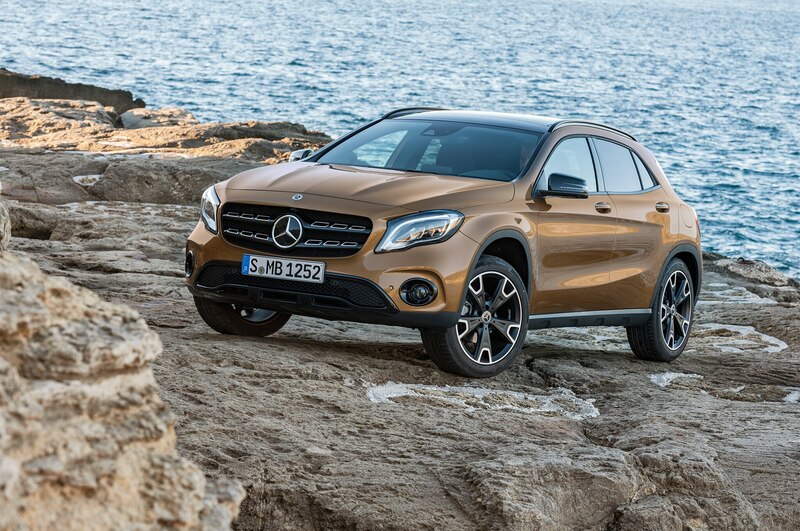 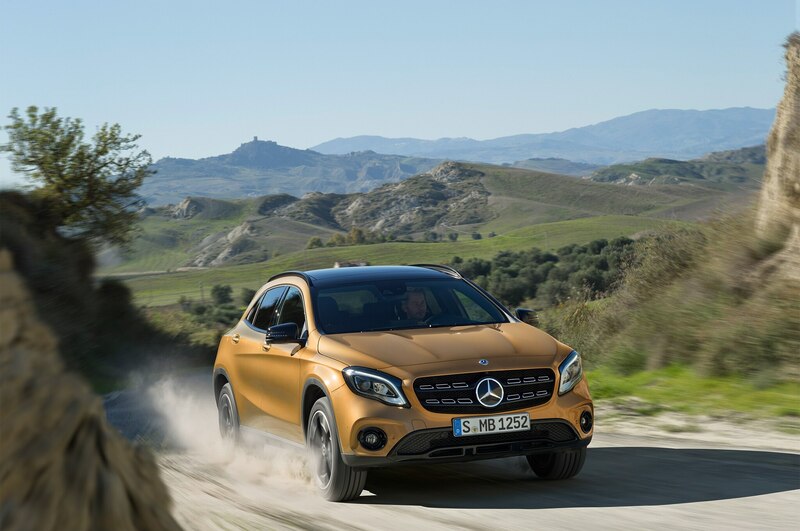 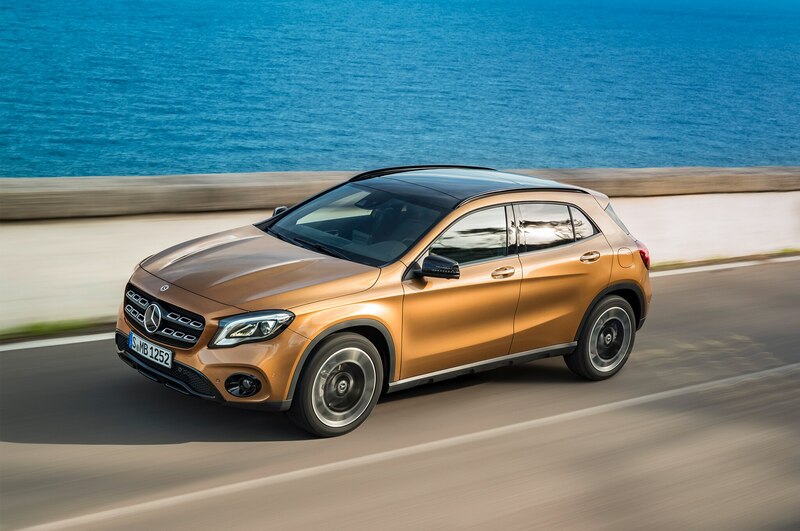 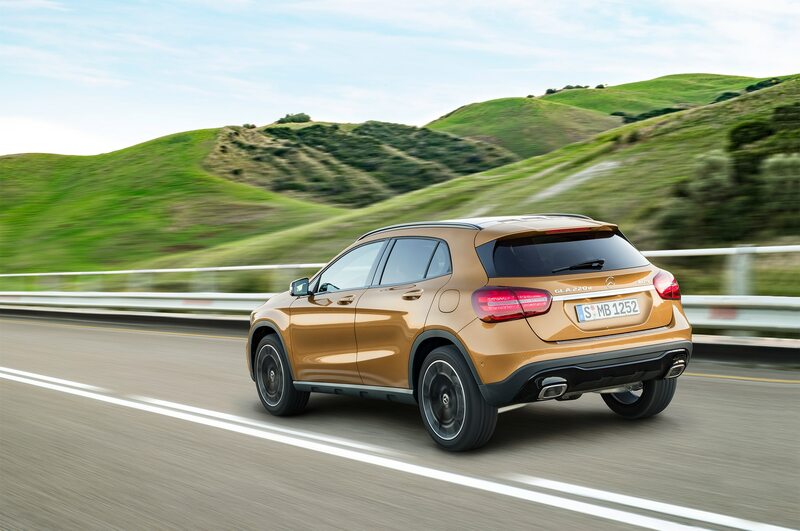 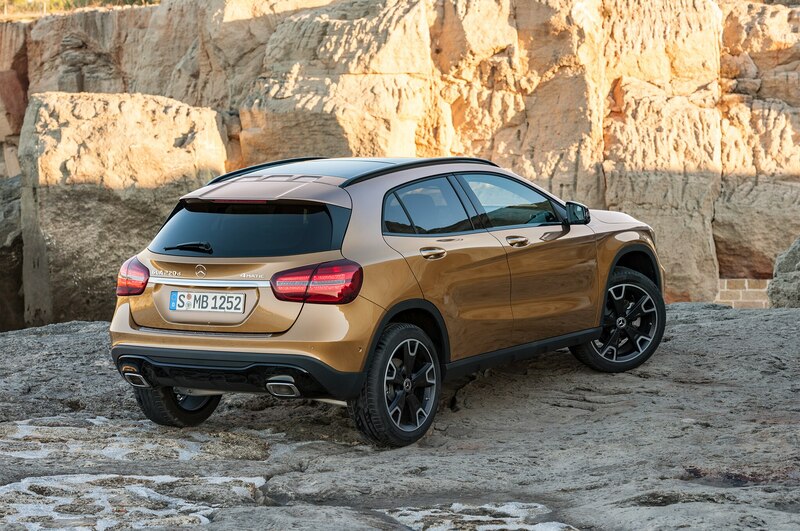 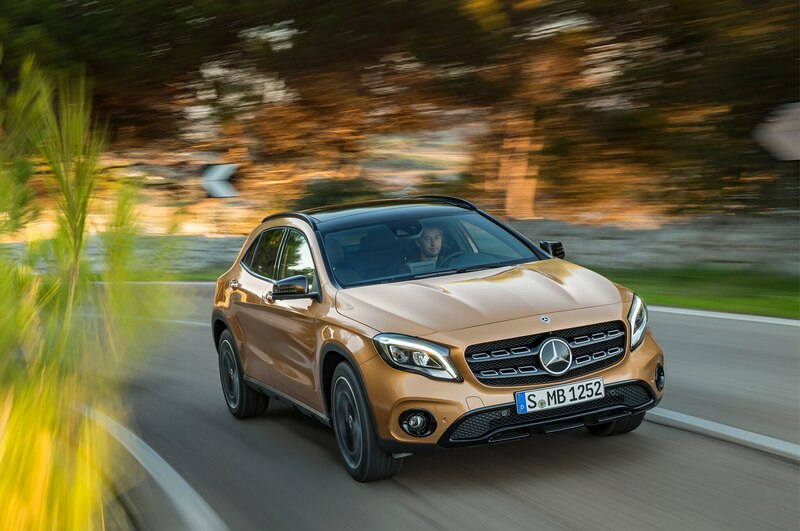 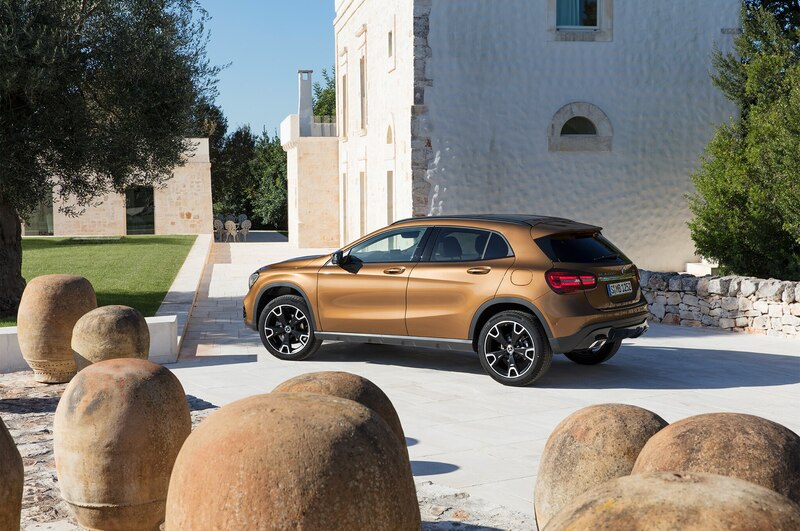 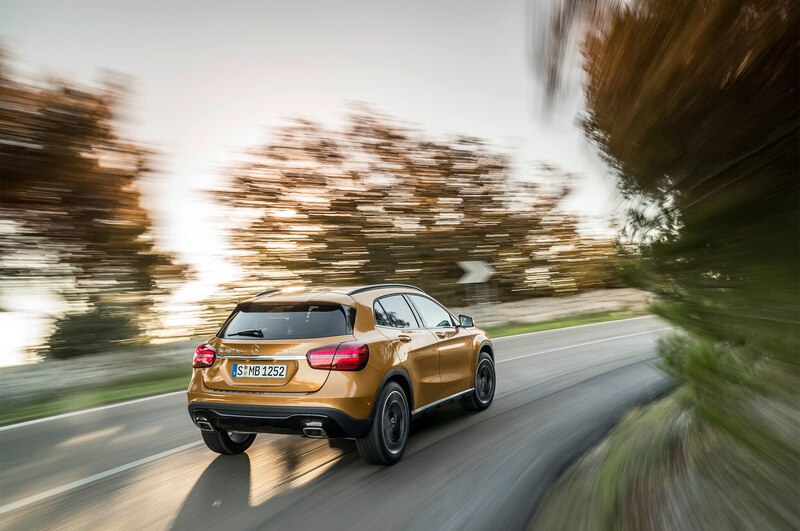 Mercedes refreshed the two-year-old GLA-Class compact crossover for 2018, giving the pint-sized “SUV” a new face, new wheels, and a raft of updated standard equipment, inside and out. 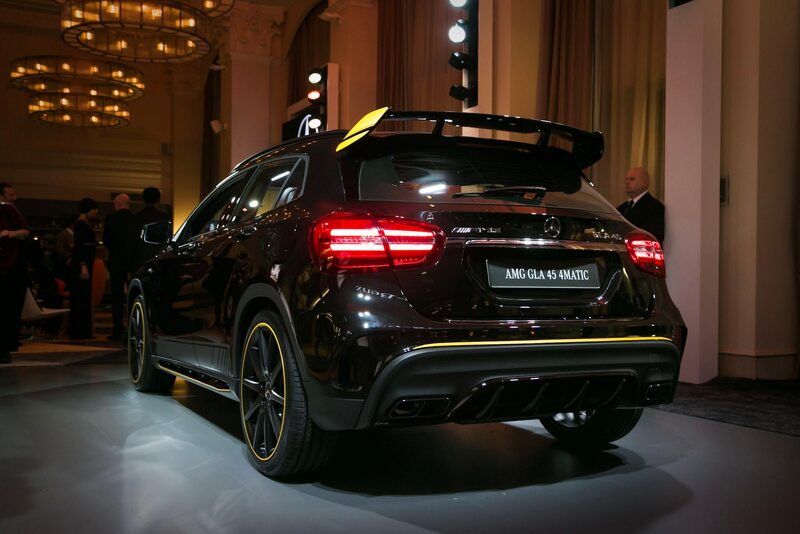 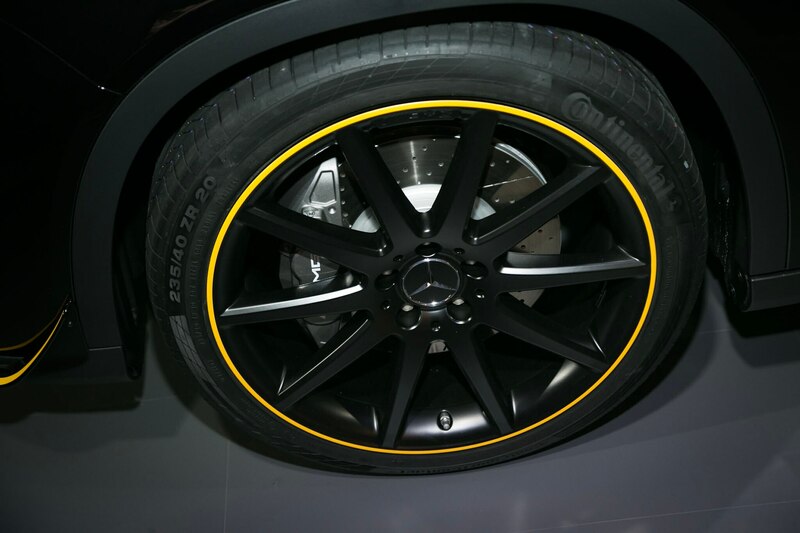 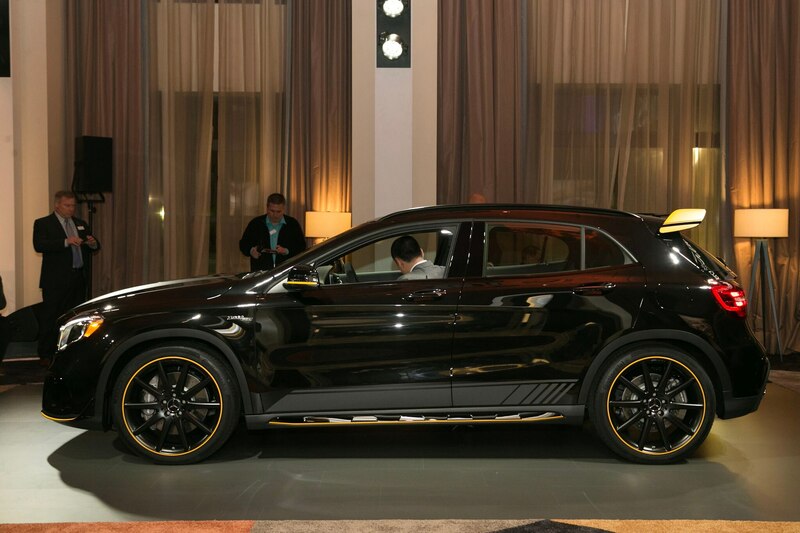 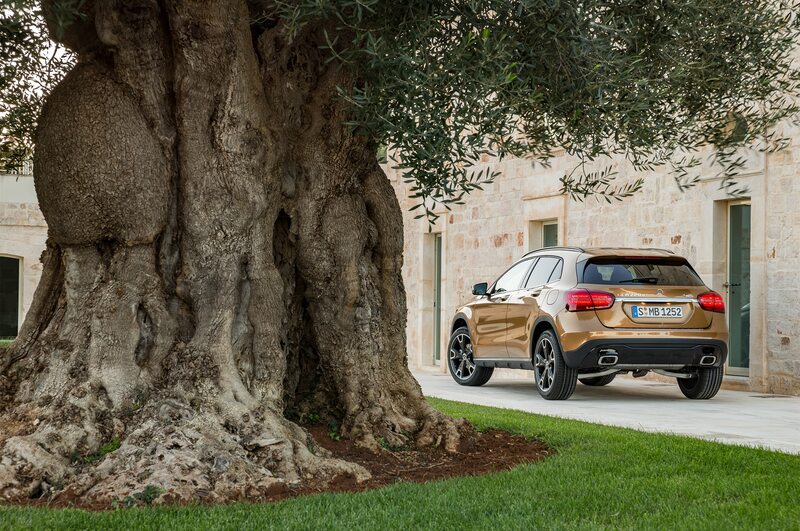 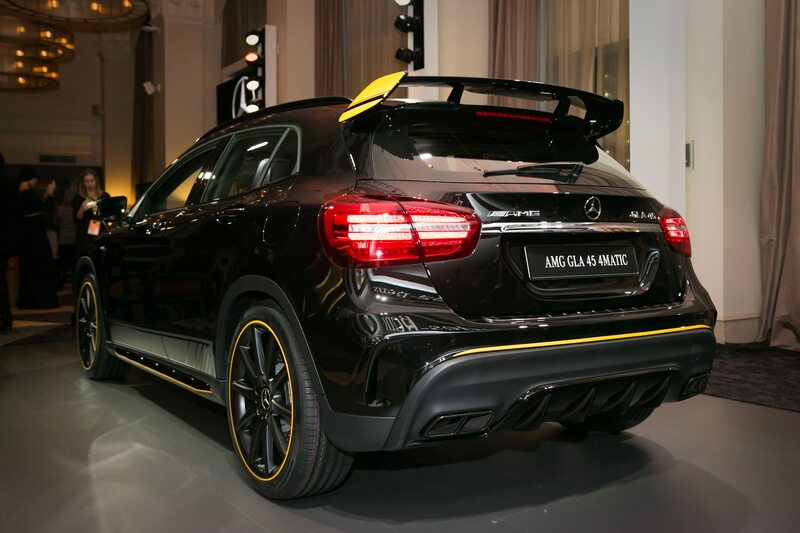 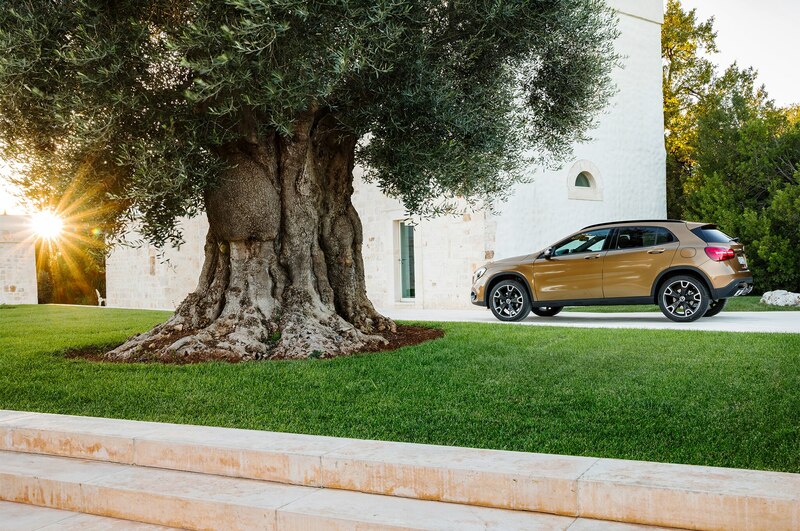 The changes extend to the whole model range, including the power-packed Mercedes-AMG GLA45. 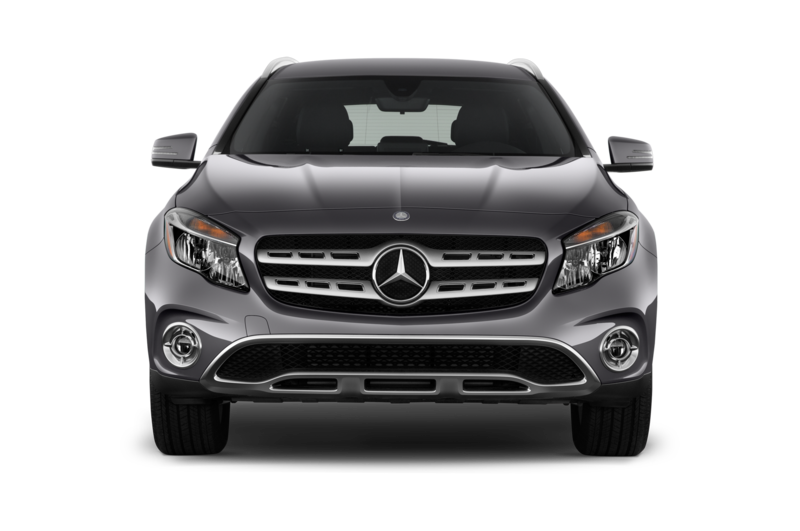 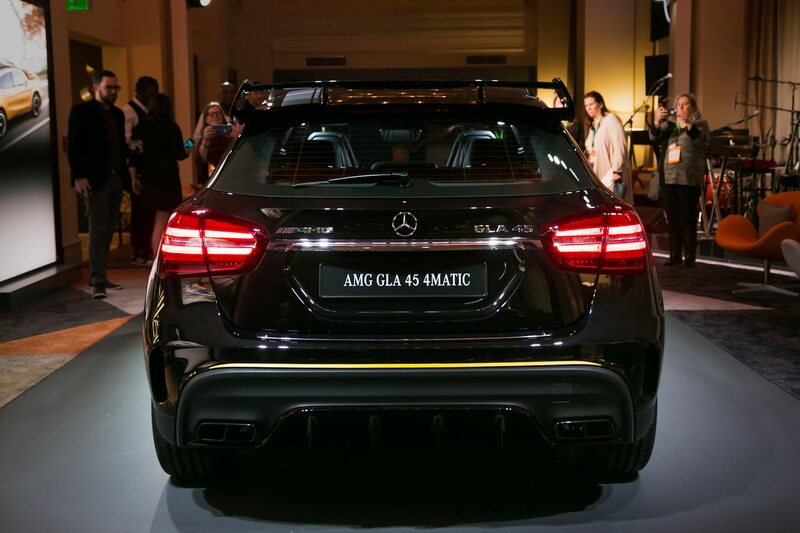 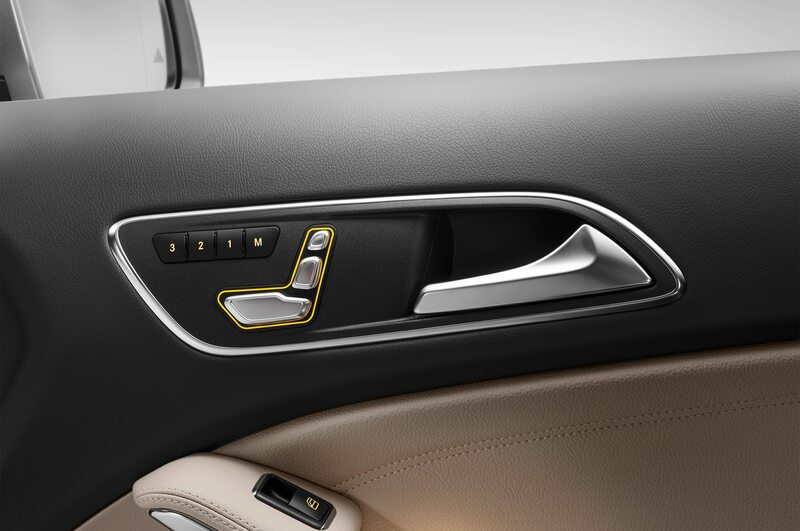 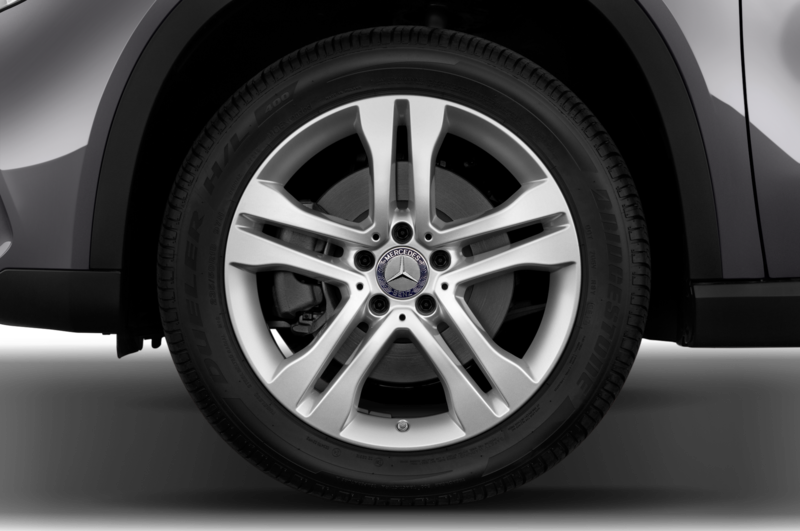 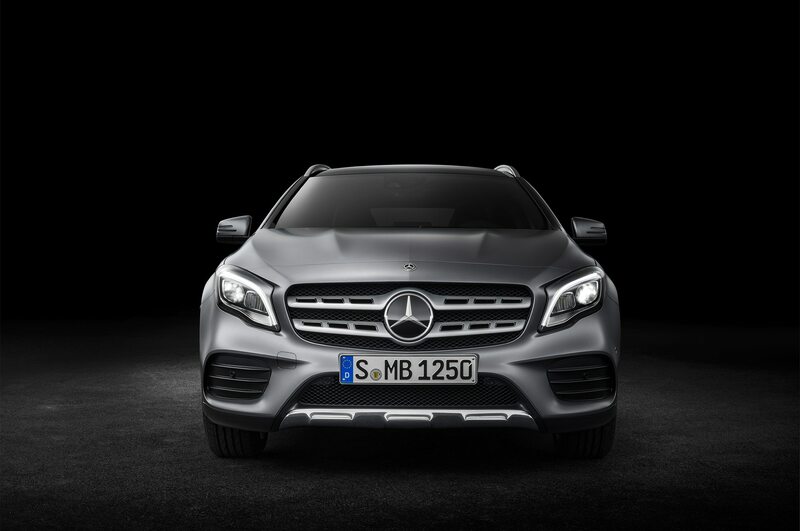 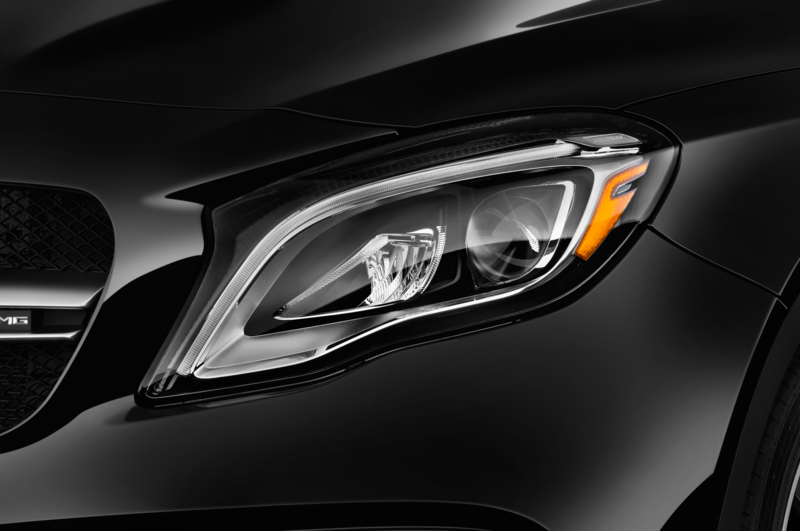 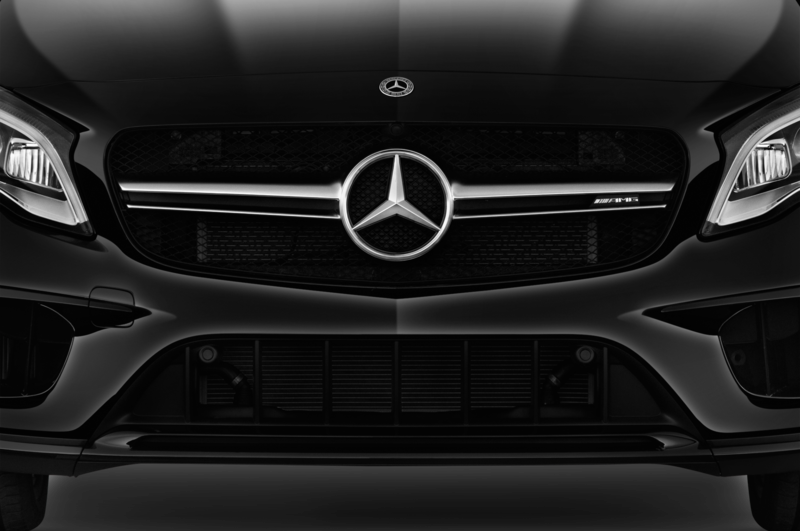 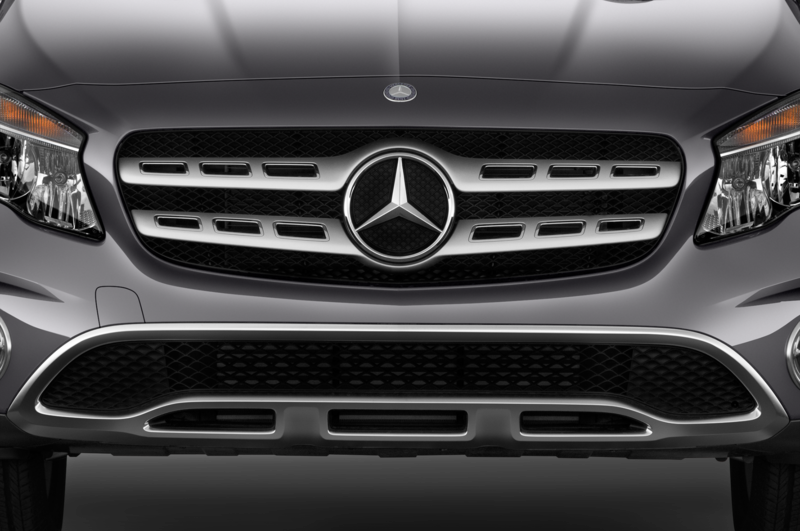 Up front, the base GLA receives a more rounded-out appearance, including a grille that incorporates two horizontal bars with portholes. 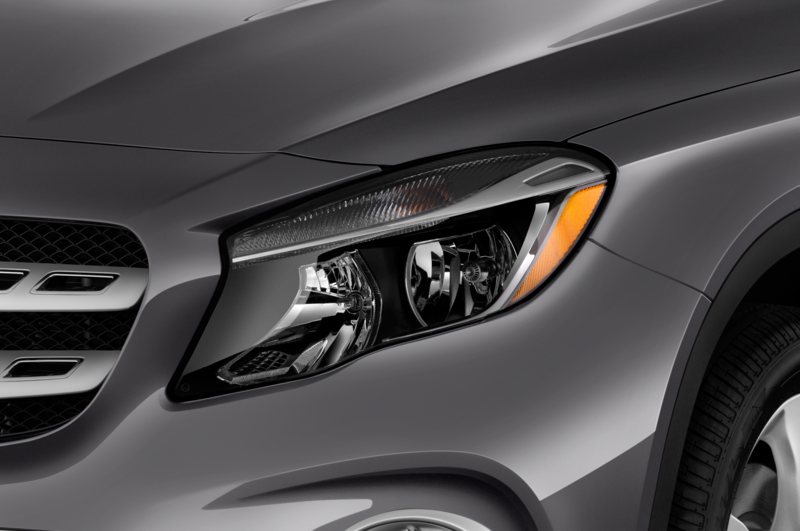 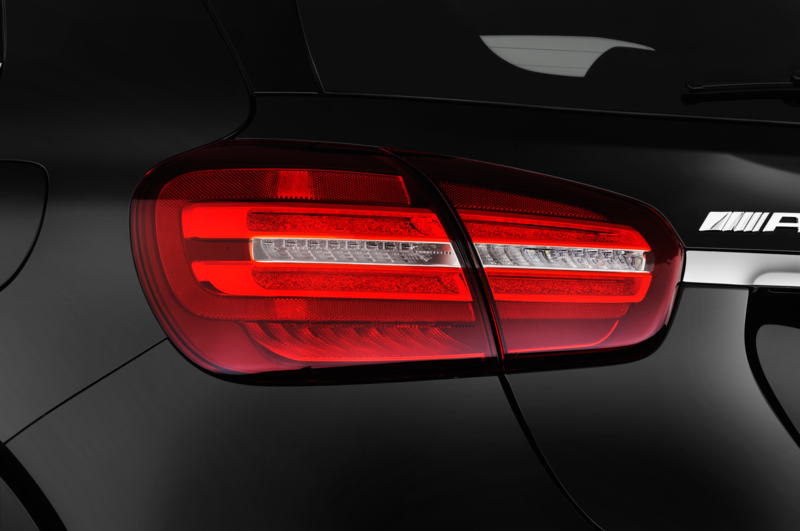 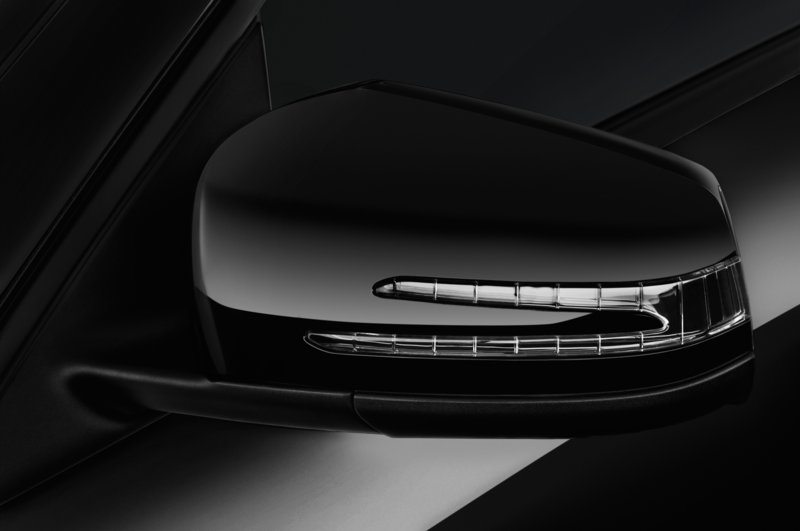 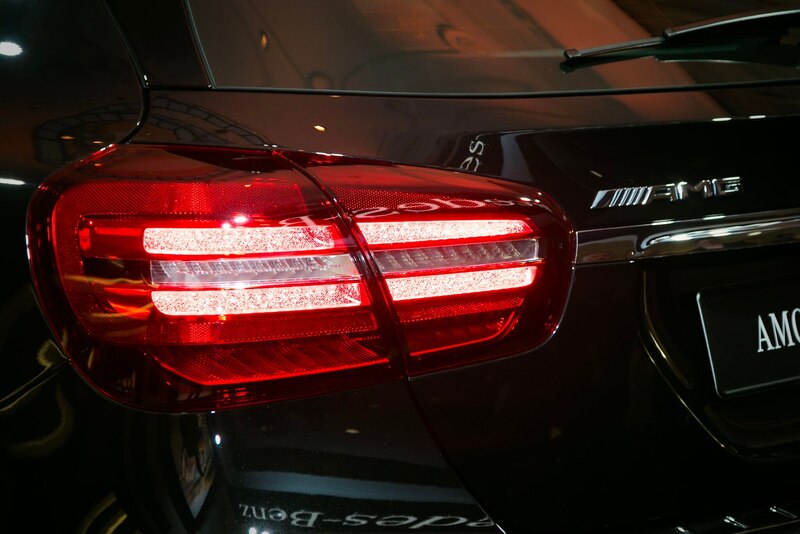 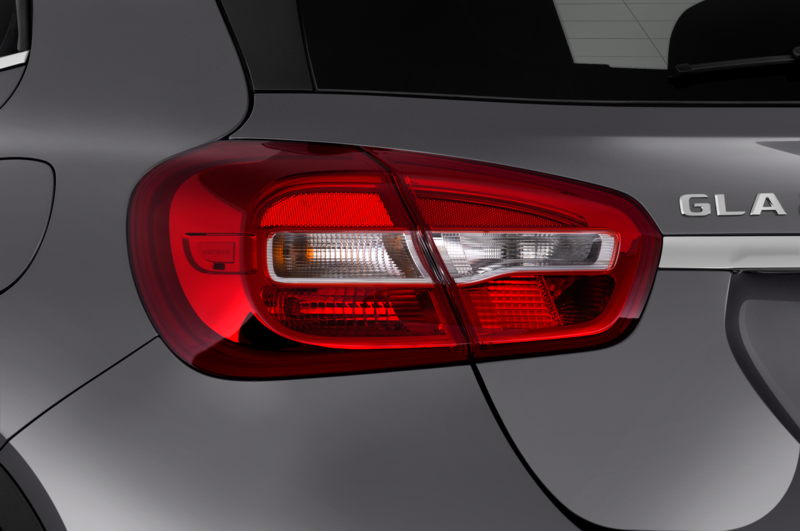 It’s not just body molding that’s new – the bumpers now incorporate updated LED headlights as an upgrade over the older bi-xenon torches, along with upgraded foglight cutouts. 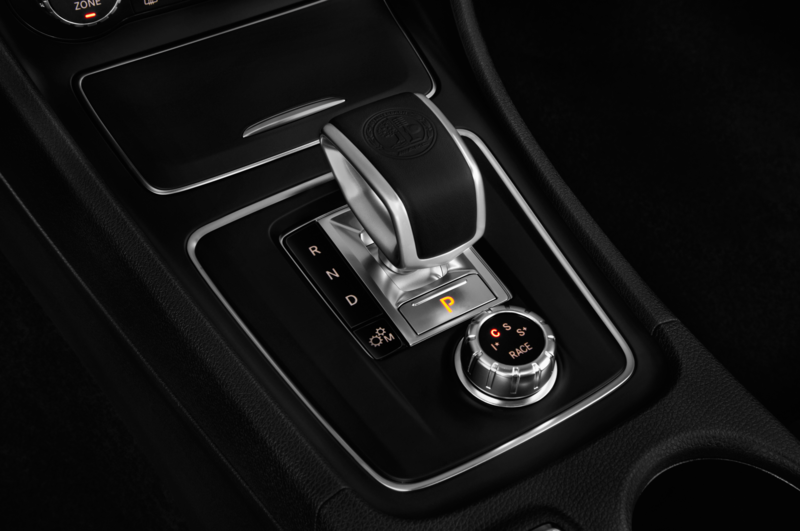 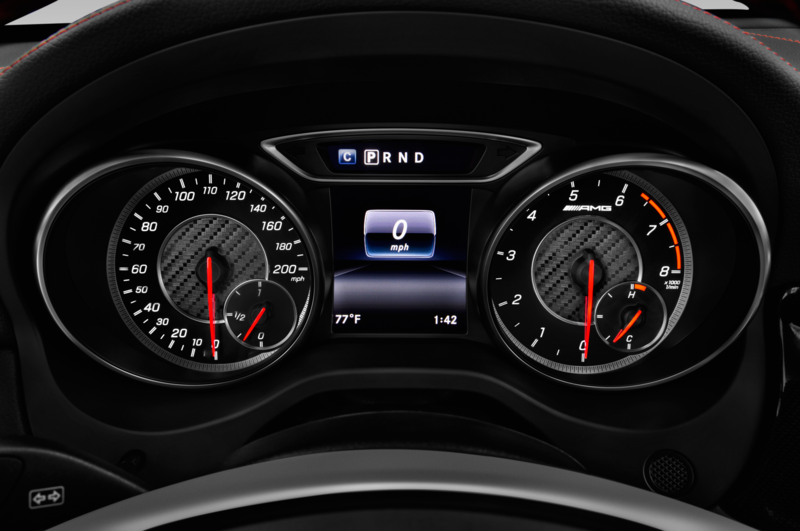 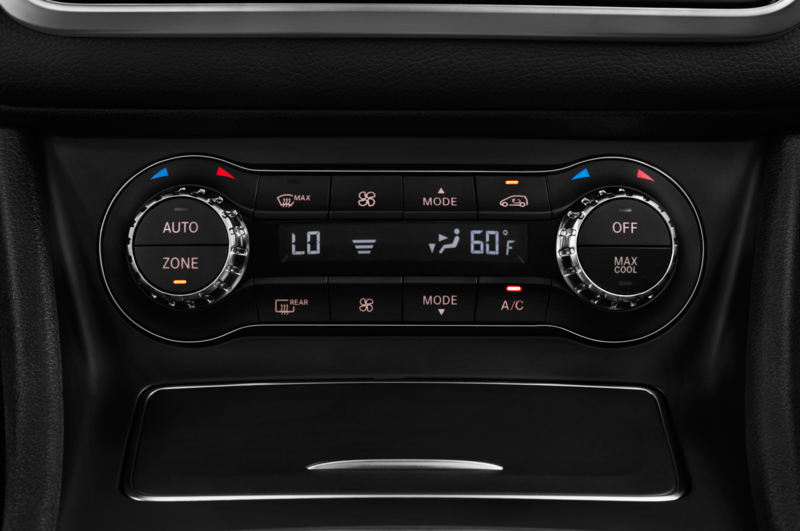 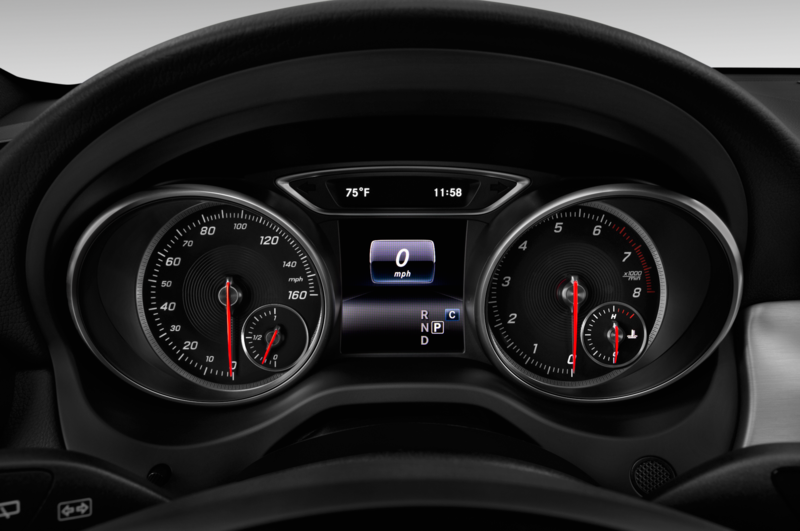 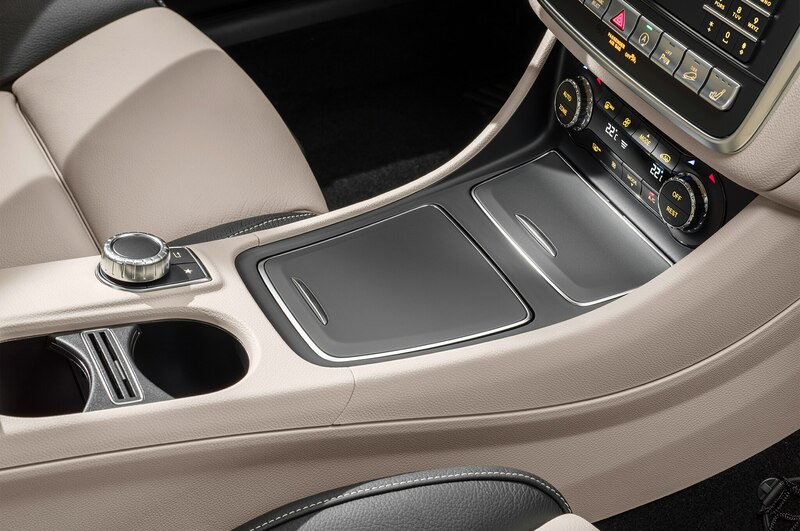 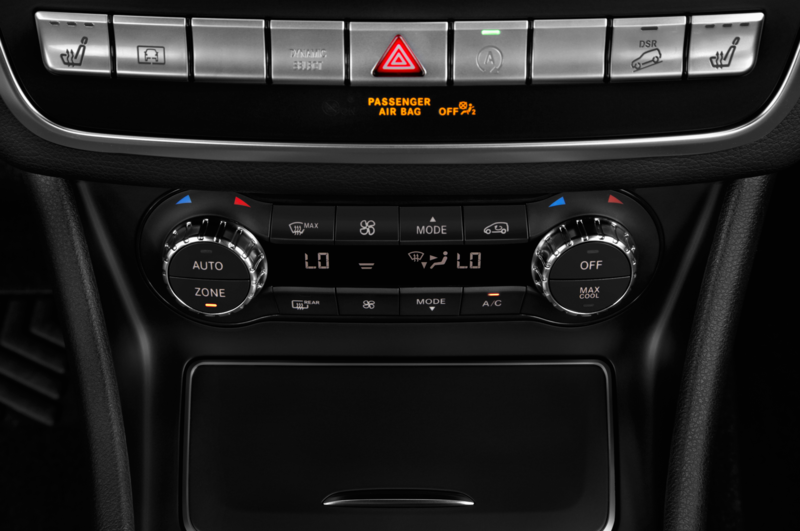 Inside, the changes extend to the infotainment system, including a new standard eight-inch main display and a redesigned center gauge cluster. 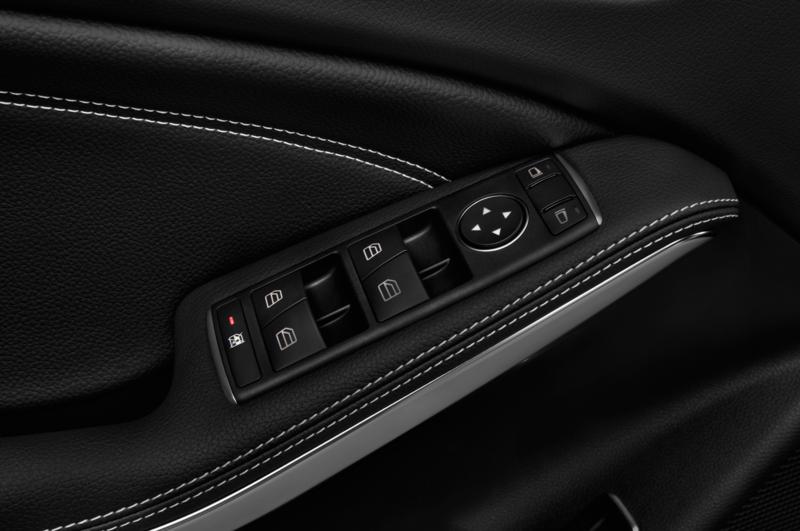 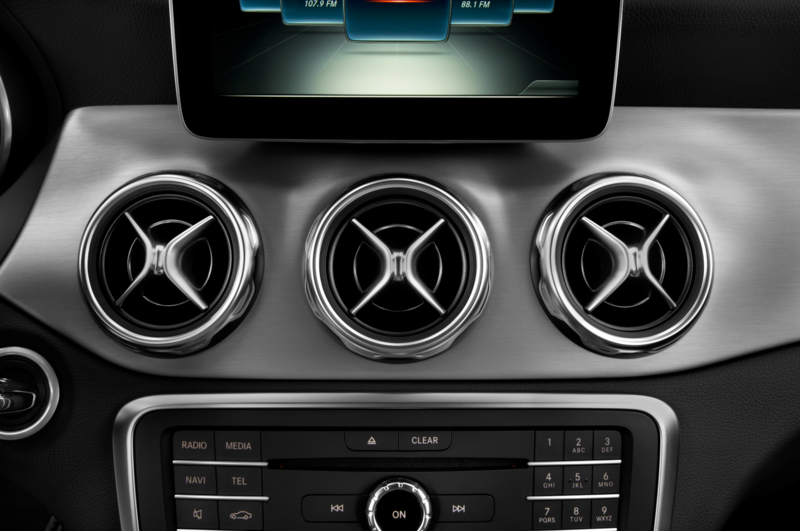 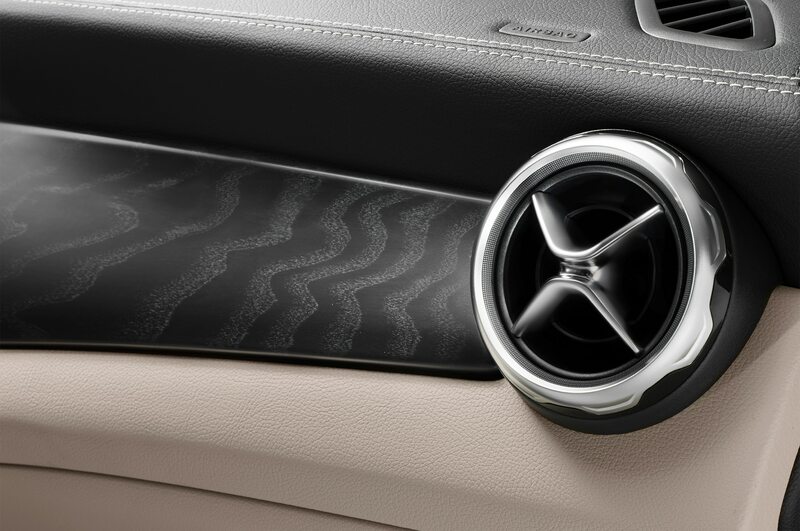 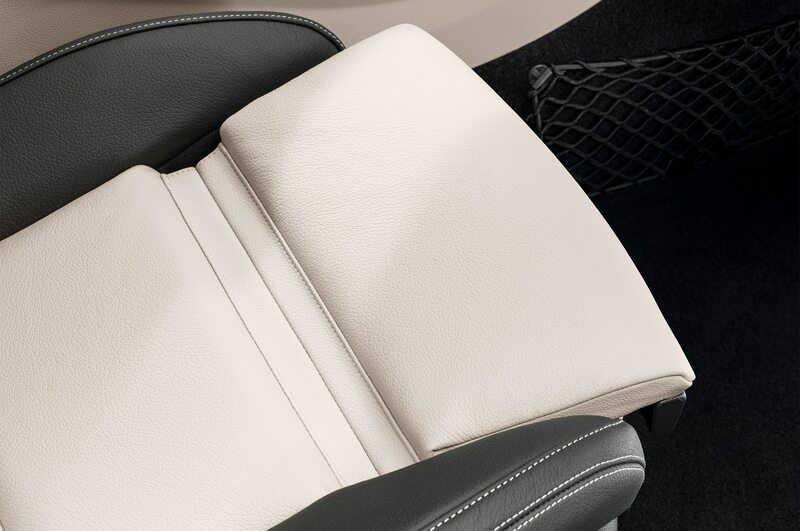 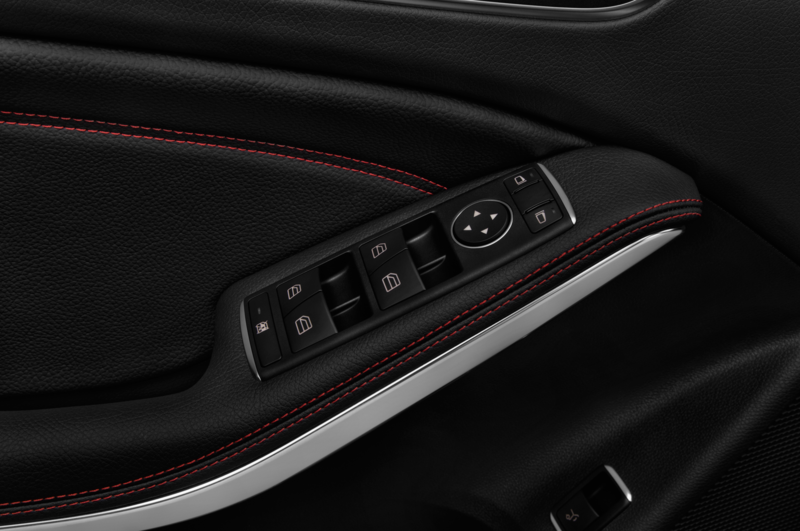 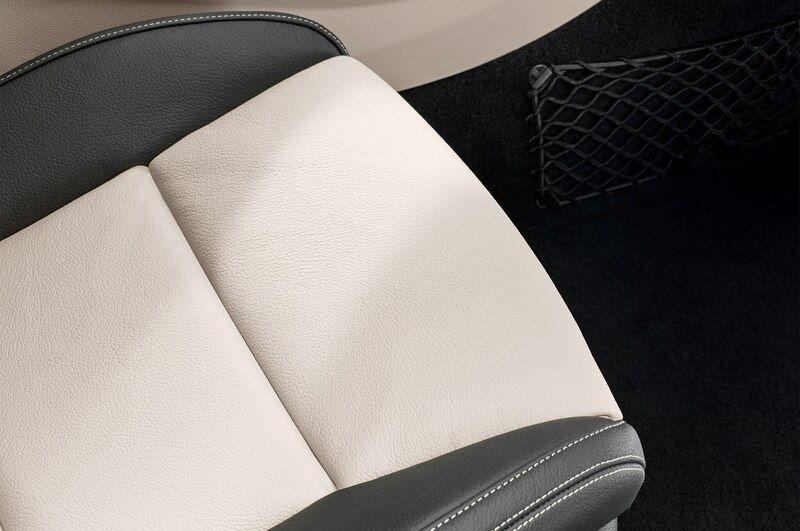 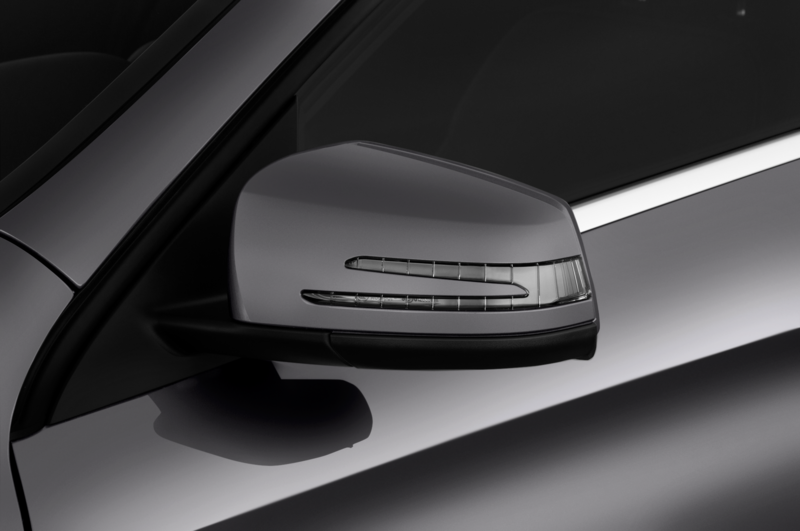 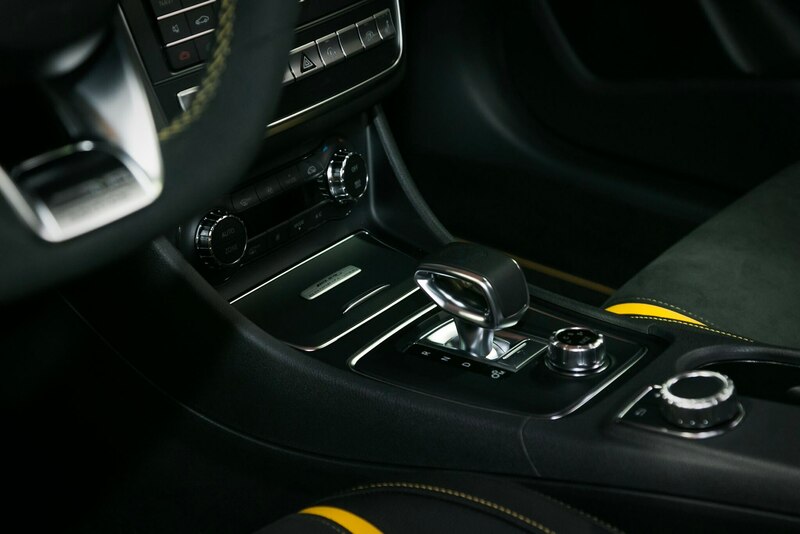 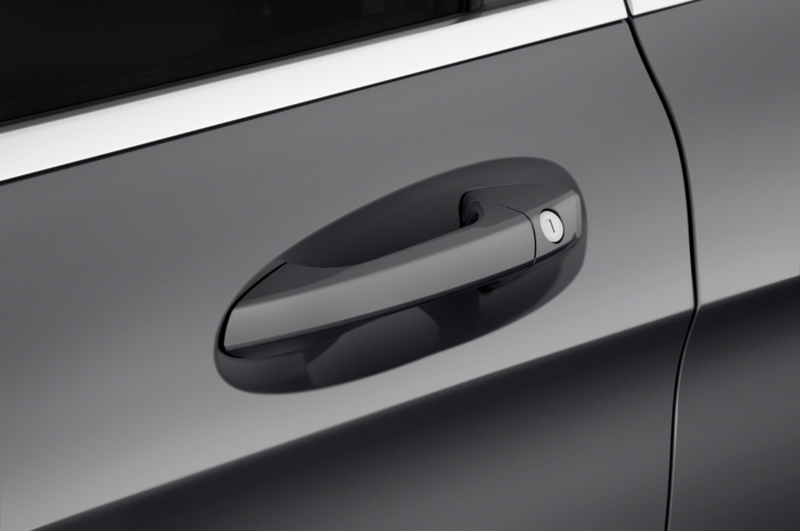 Mercedes included a new “Sail Pattern” trim for the cabin, replacing the older “Anthracite” design, along with Black Ash Matte Wood replacing Burl Walnut. 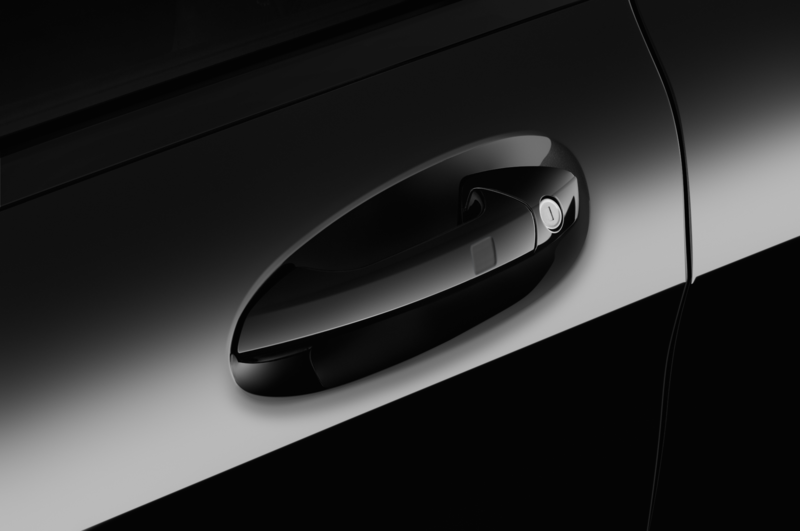 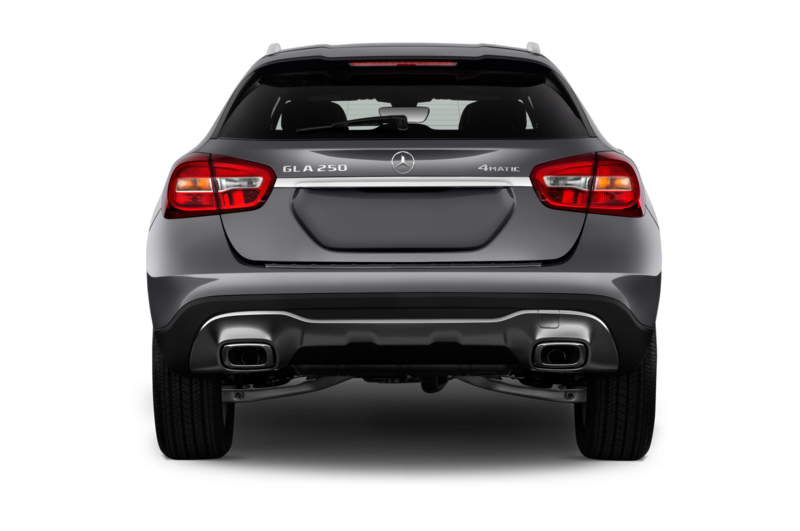 Backup camera is now standard, alongside a new optional parking assist package that includes a surround view camera. 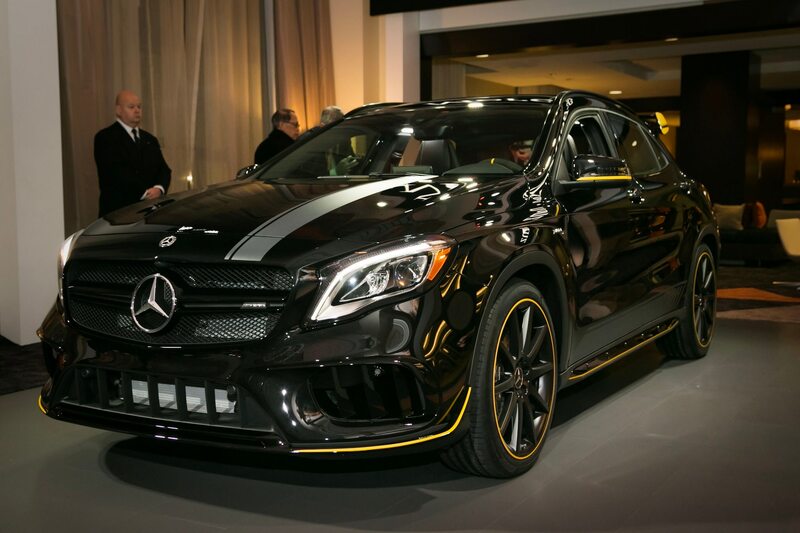 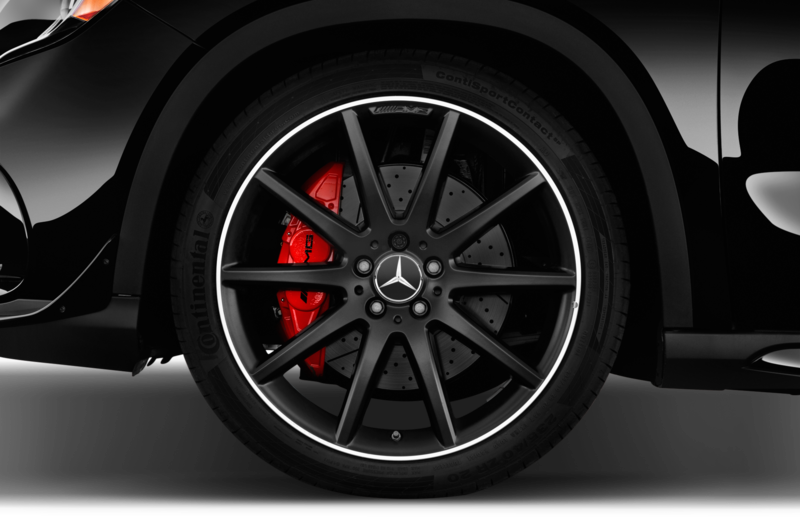 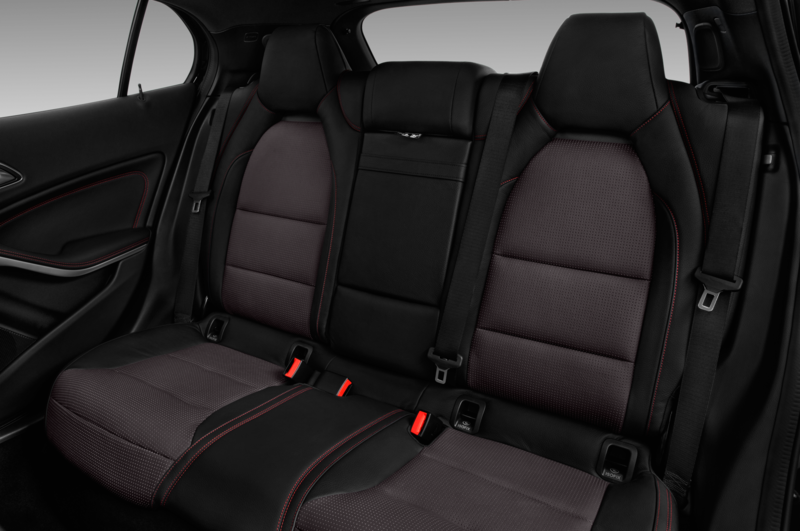 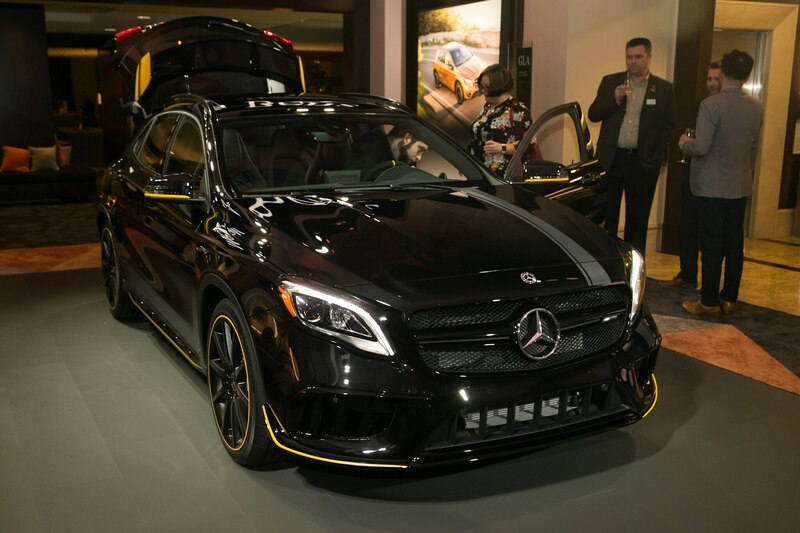 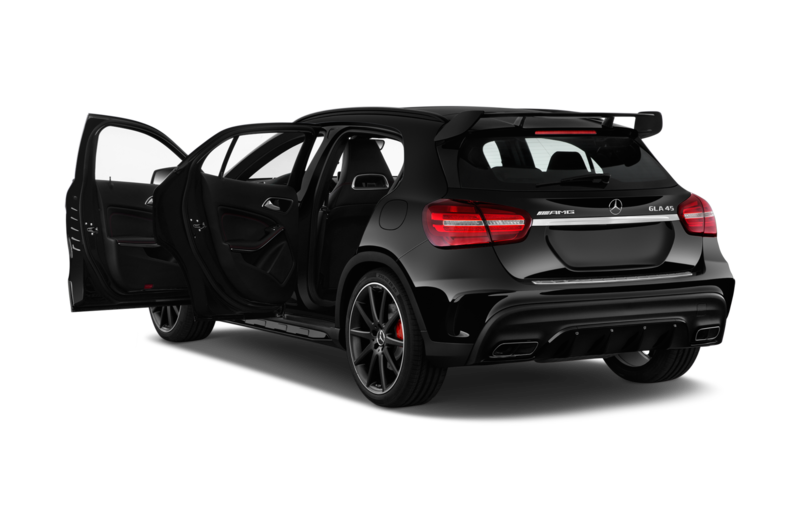 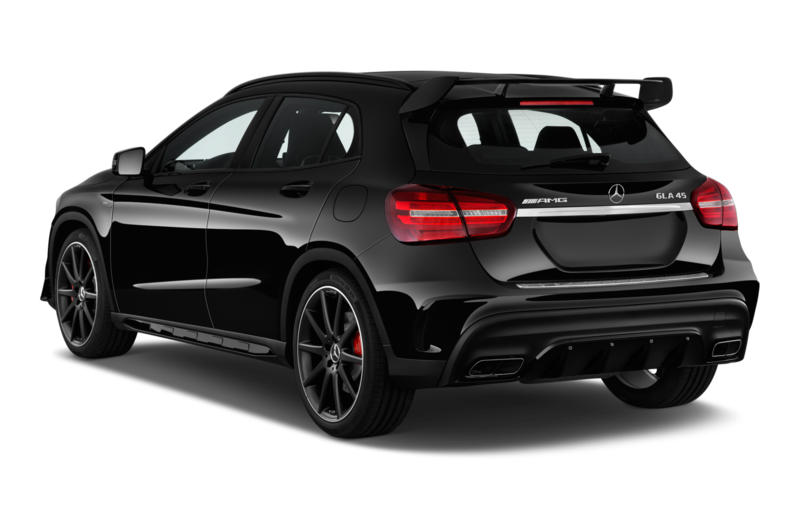 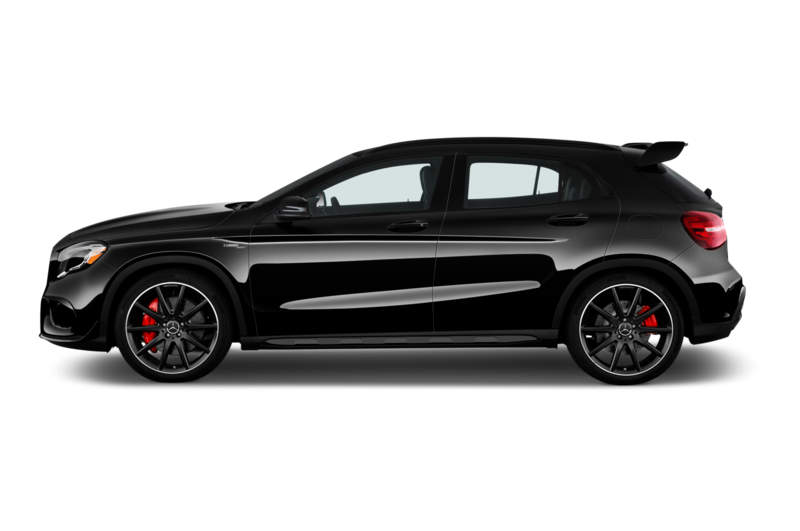 For buyers looking to add more personalization to their GLA45, Merc now offers the AMG Performance Studio, allowing for special color combinations and trim. 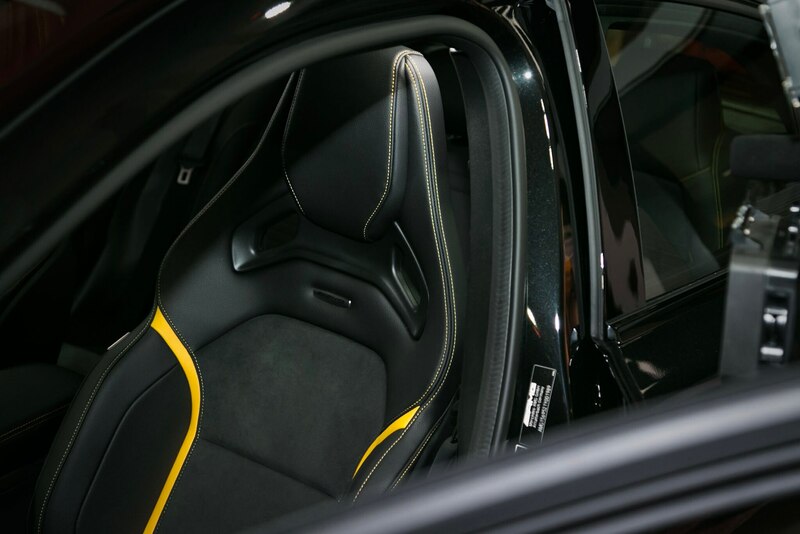 GLAs from Performance Studio arrive in Night or Cosmos black with contrasting matte gray or yellow trim on the body, wheels, and interior. 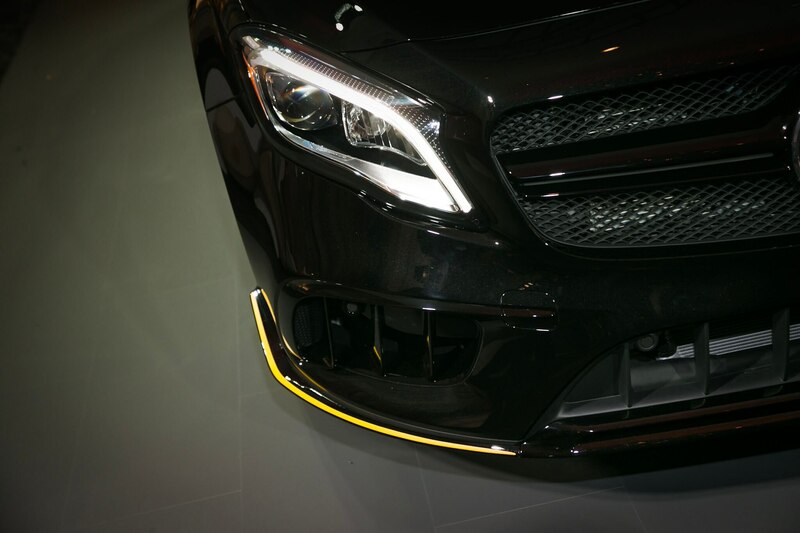 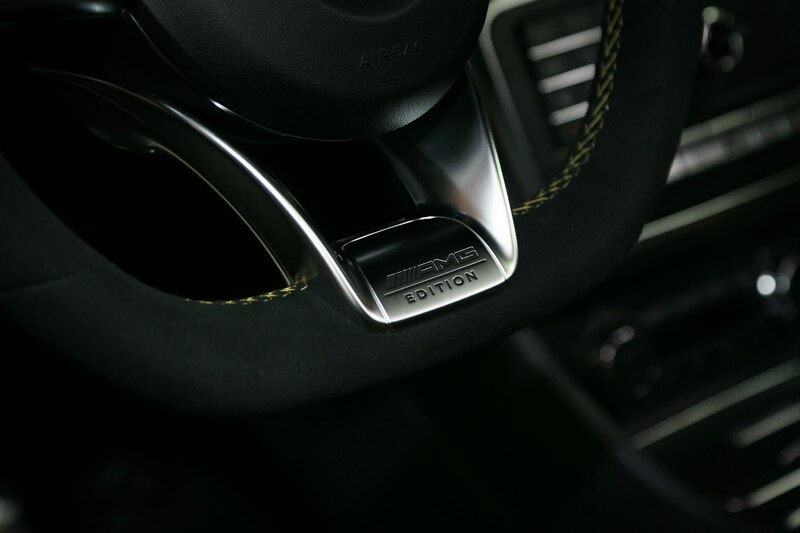 We’ve seen this treatment before on the C63 Coupe Edition 1, which launched earlier last year. 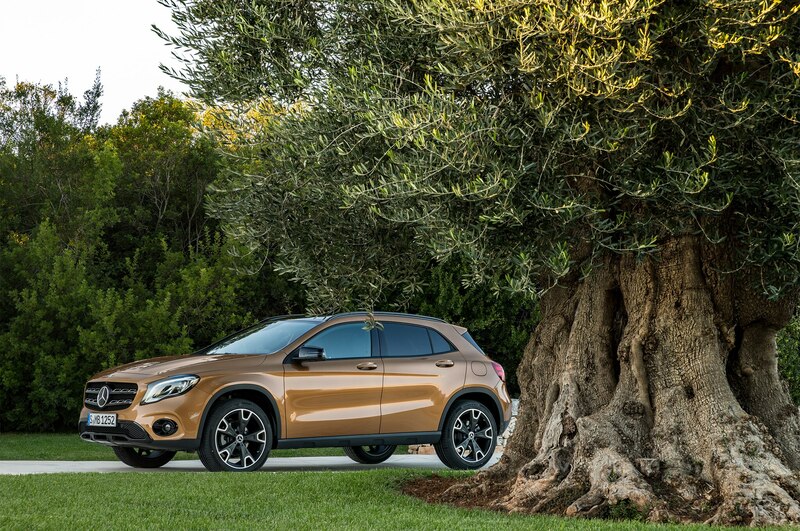 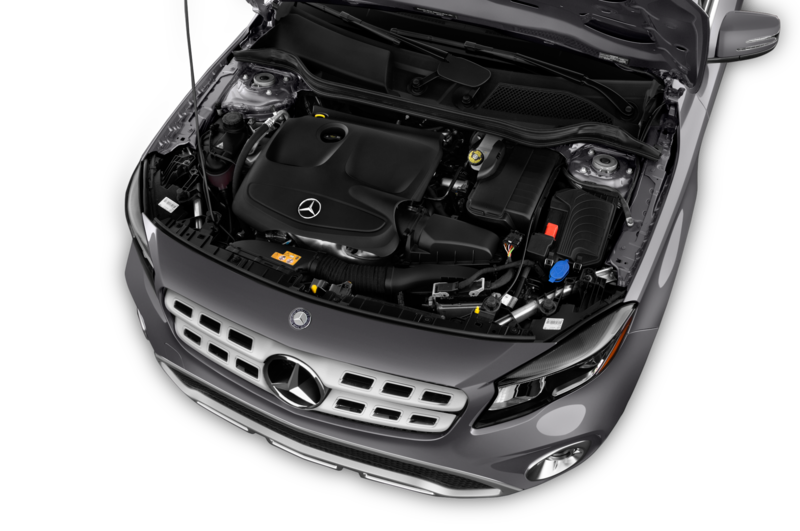 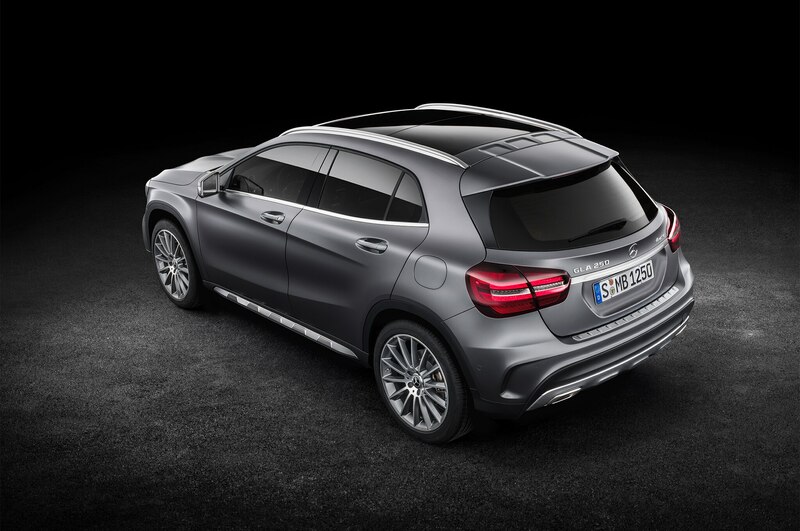 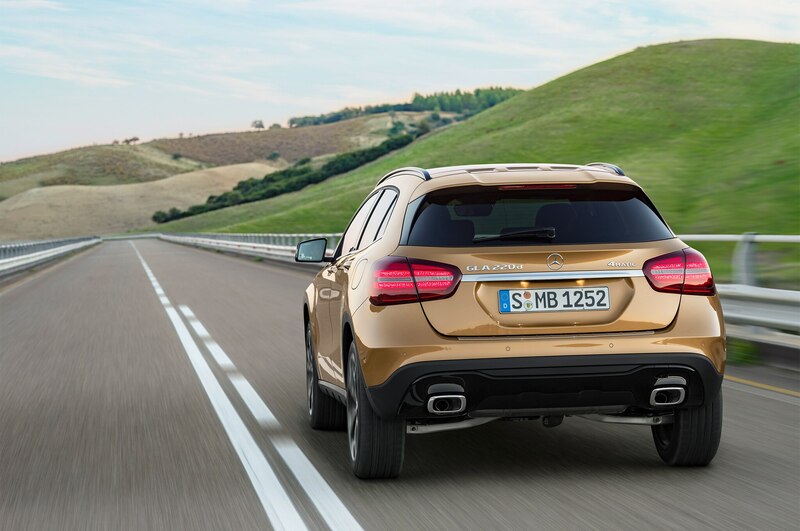 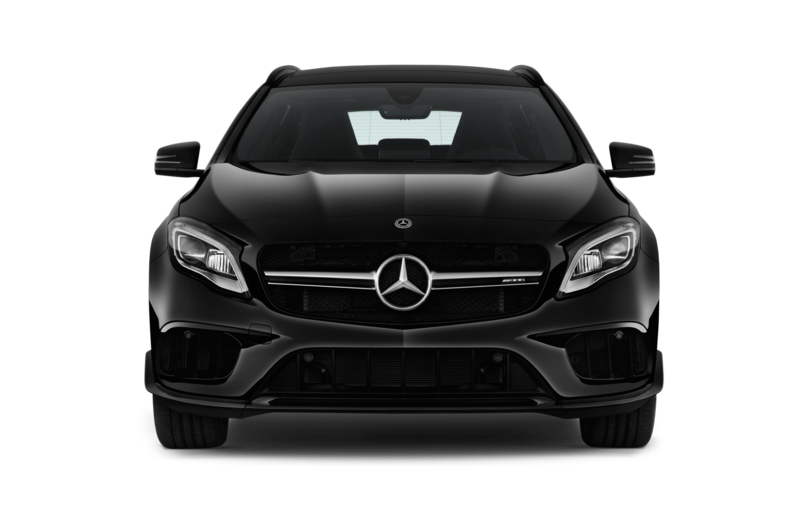 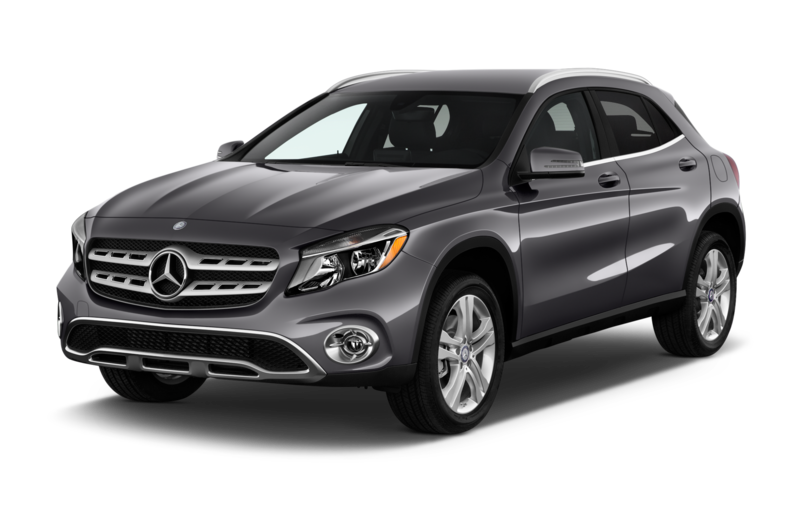 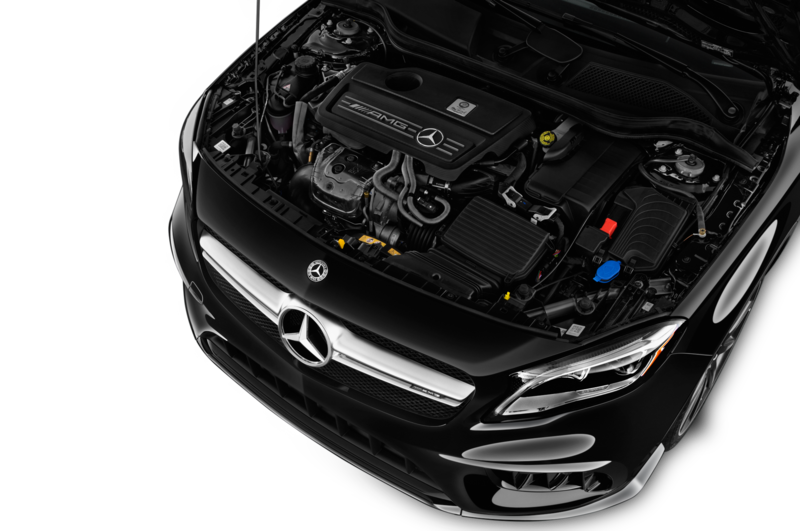 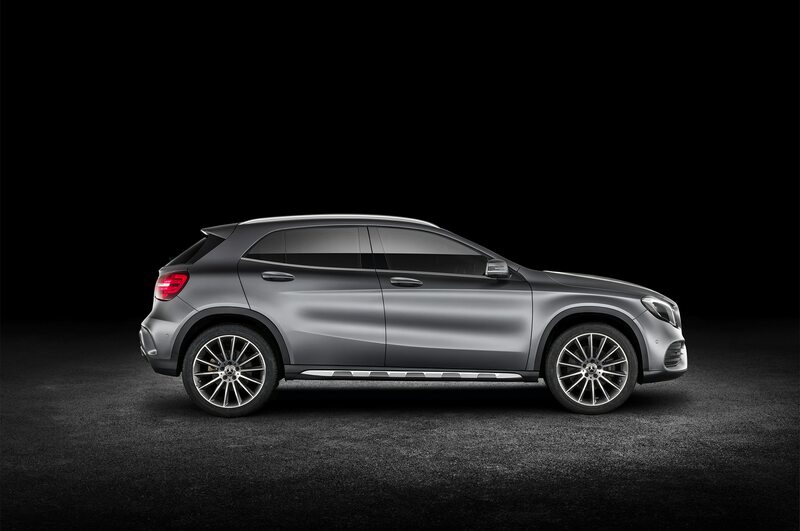 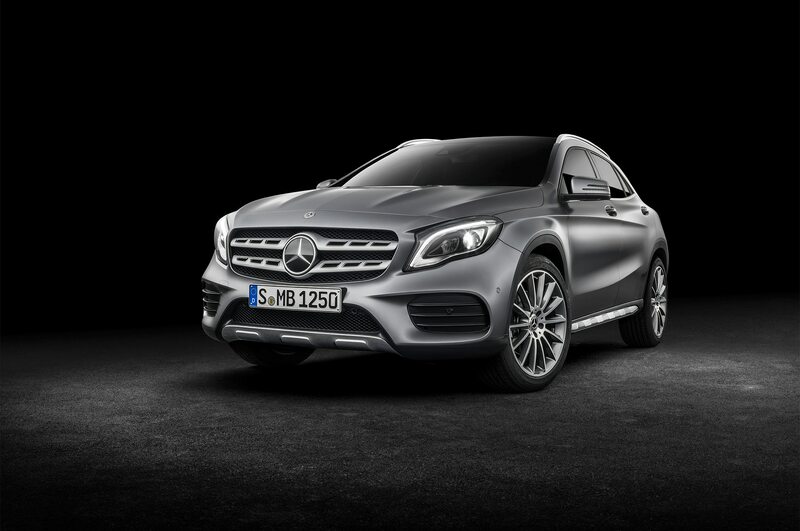 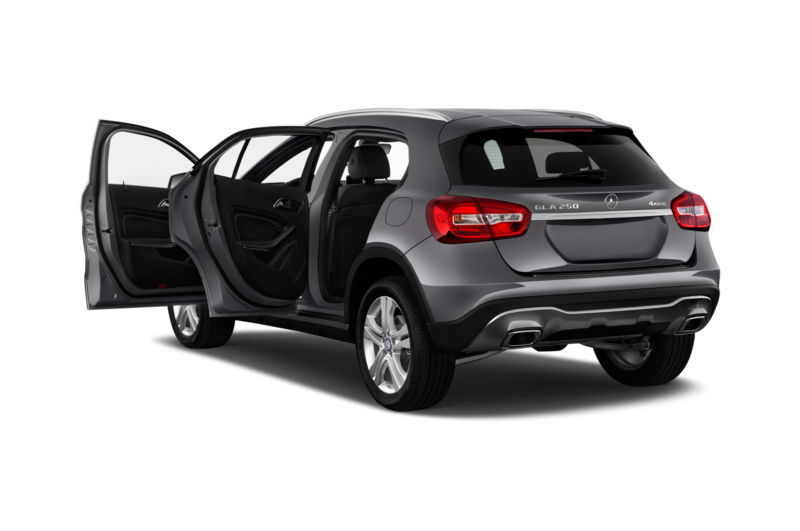 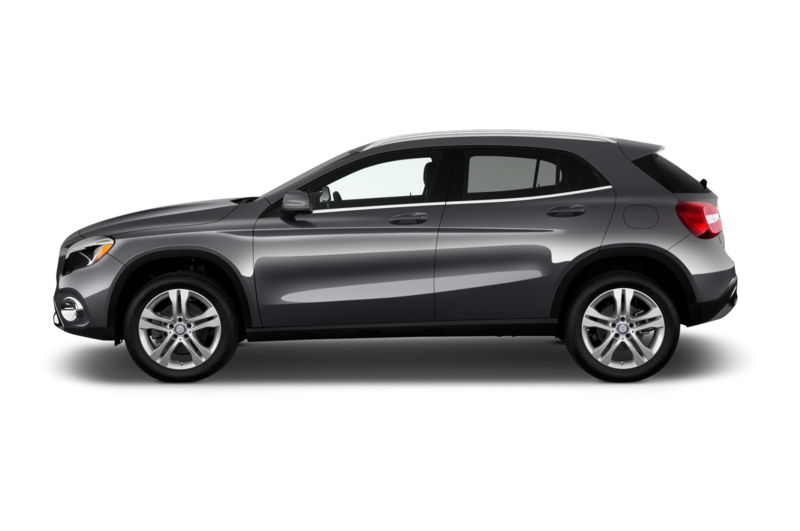 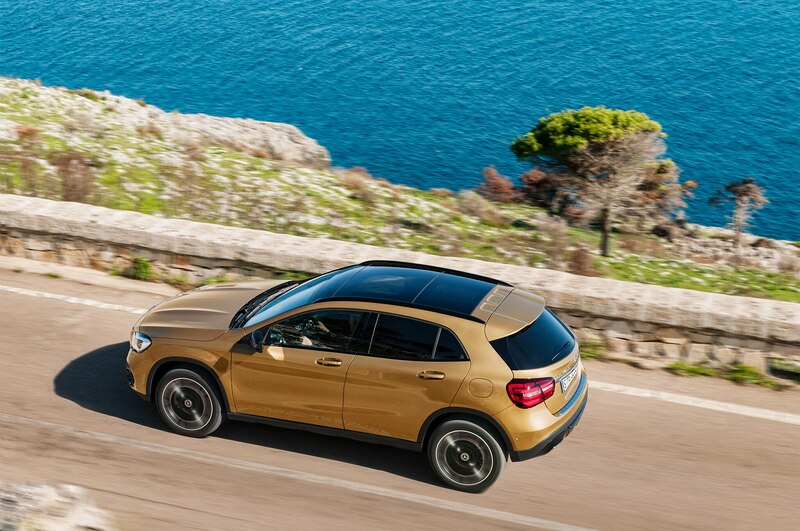 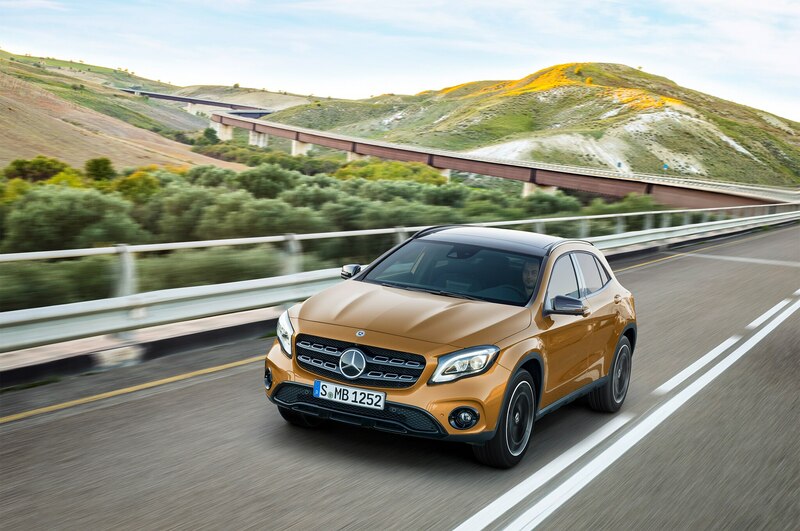 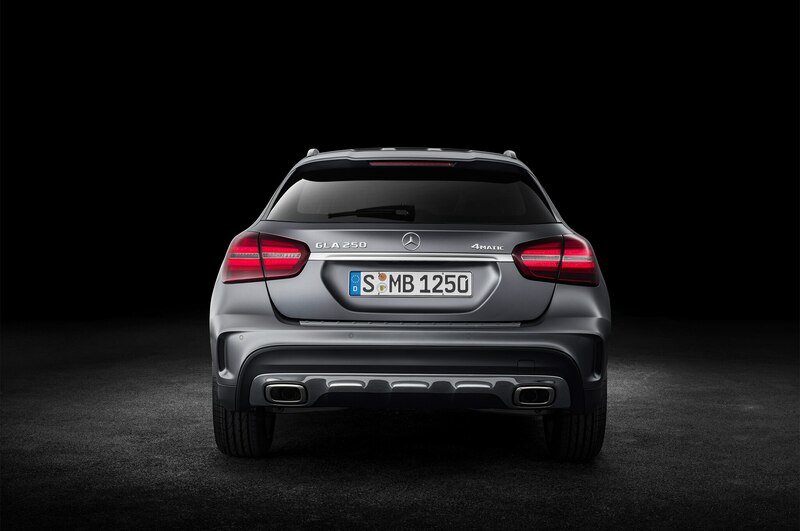 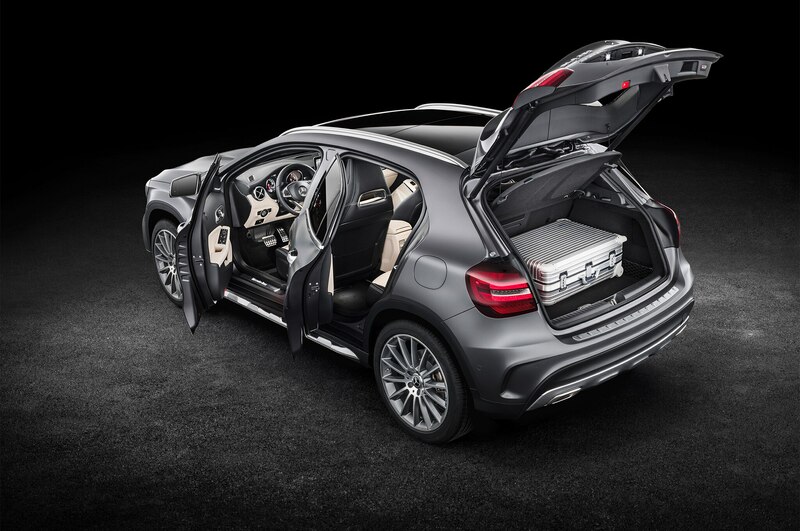 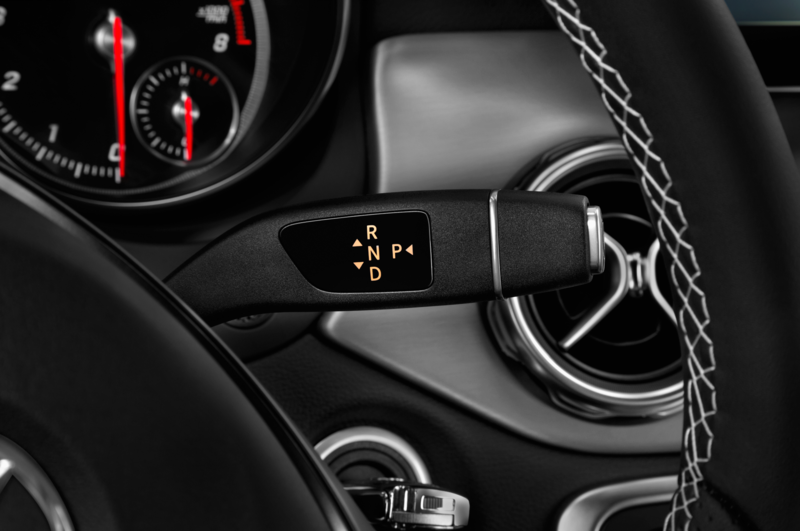 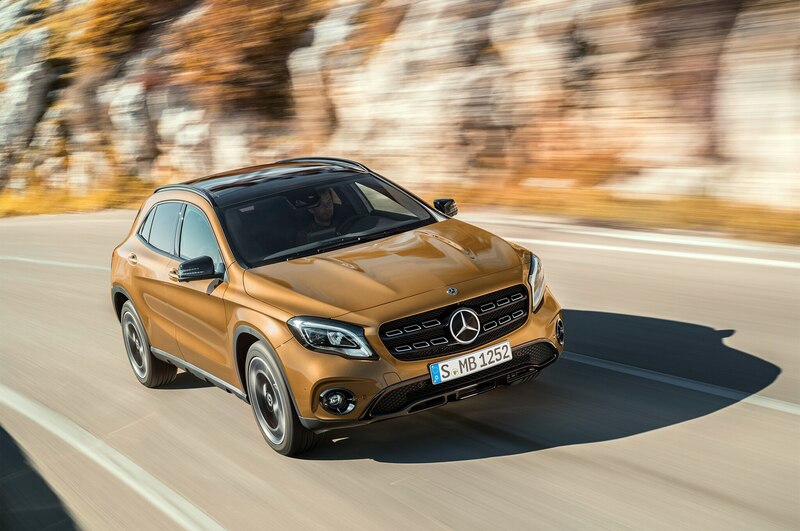 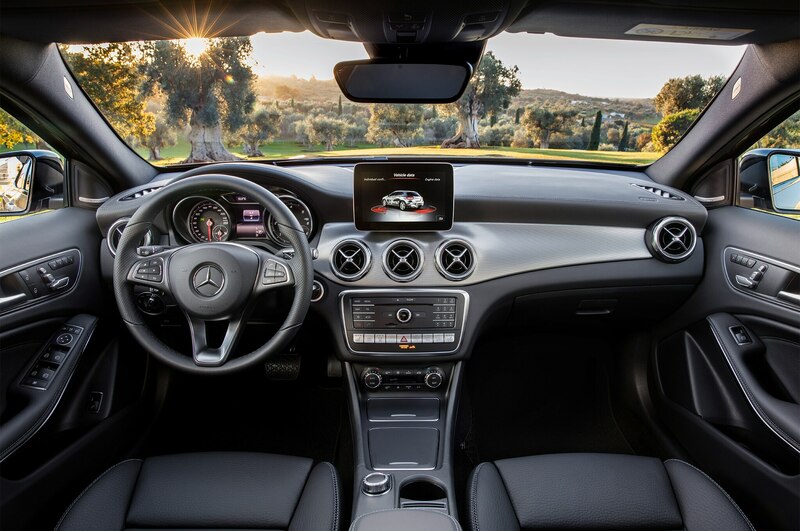 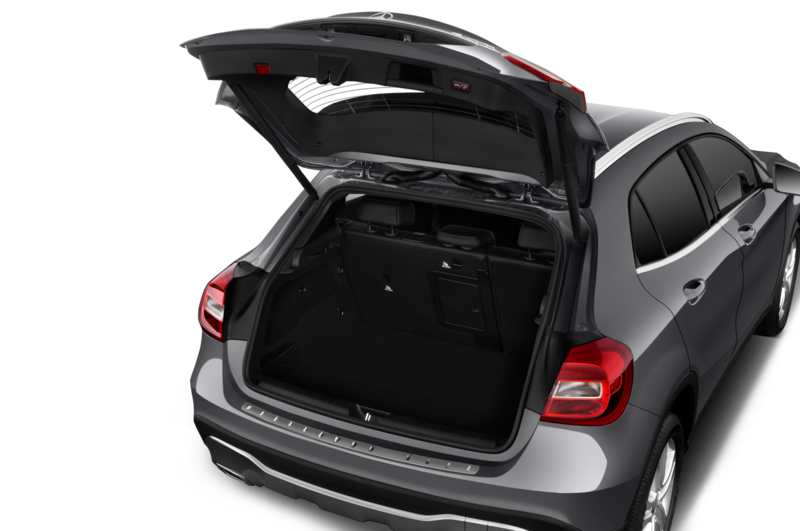 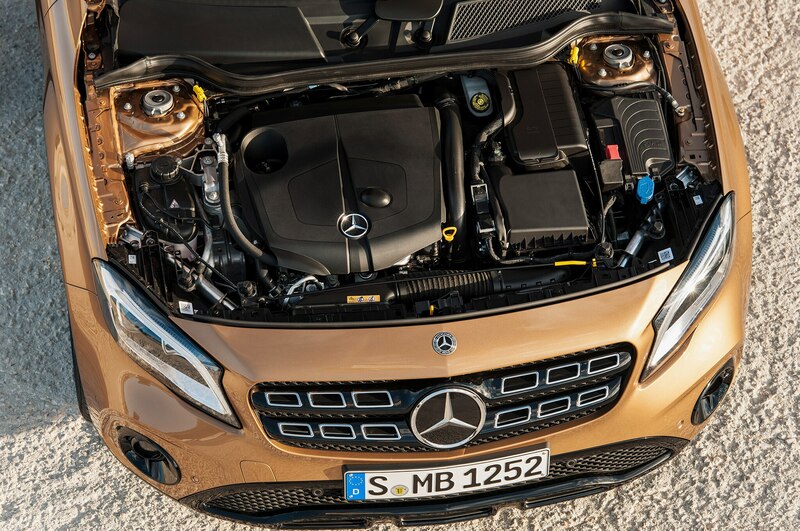 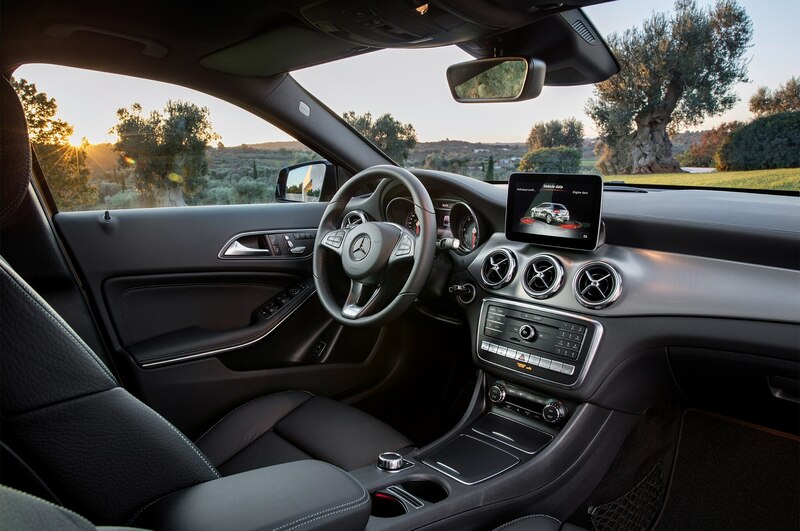 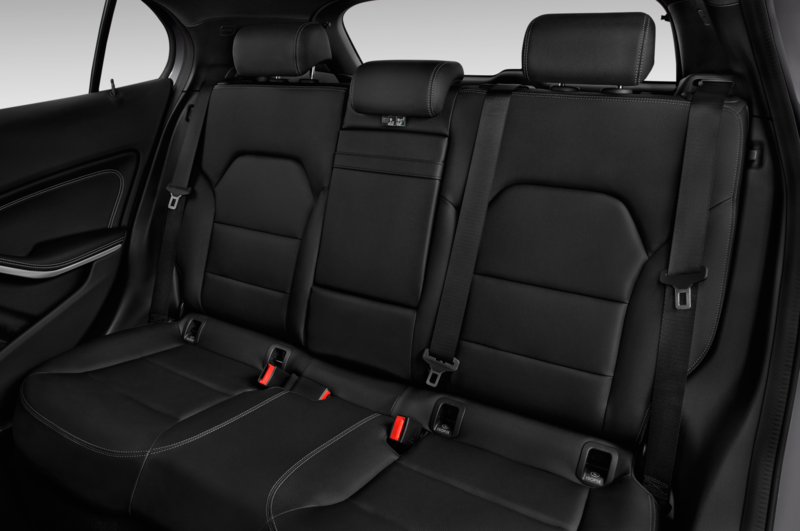 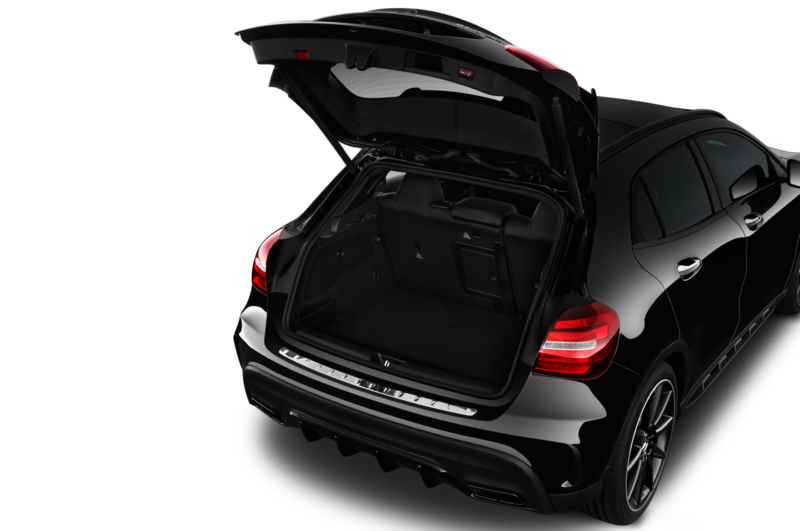 Mechanically, the GLA250 is powered by the same 2.0-liter turbocharged four-cylinder, putting down 208 hp and 258 lb-ft of torque through a seven-speed dual-clutch automatic. 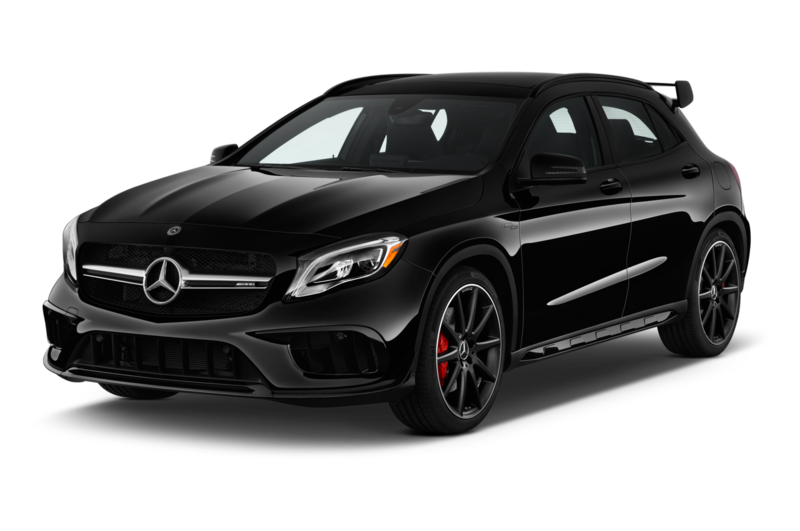 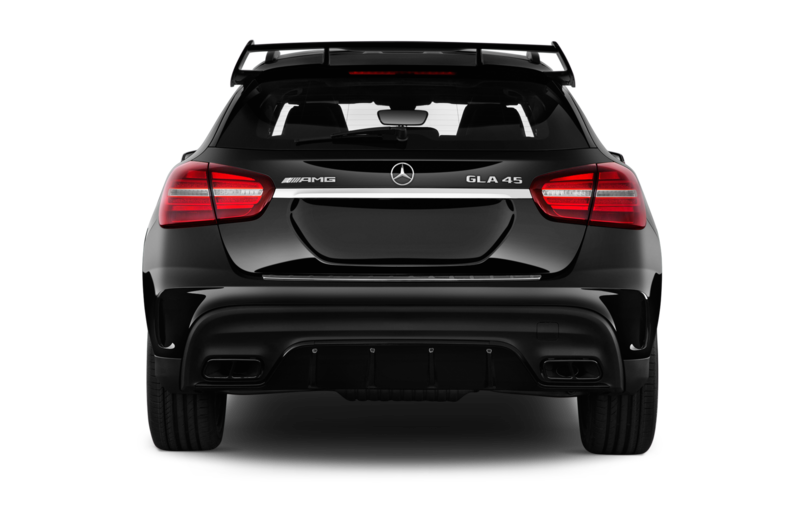 The GLA45 is also unchanged, its turbo four-banger spitting out the same tremendous 375 hp and 350 lb-ft.
Pricing has not been released for the updated model, but should be close to that of the 2017 models. 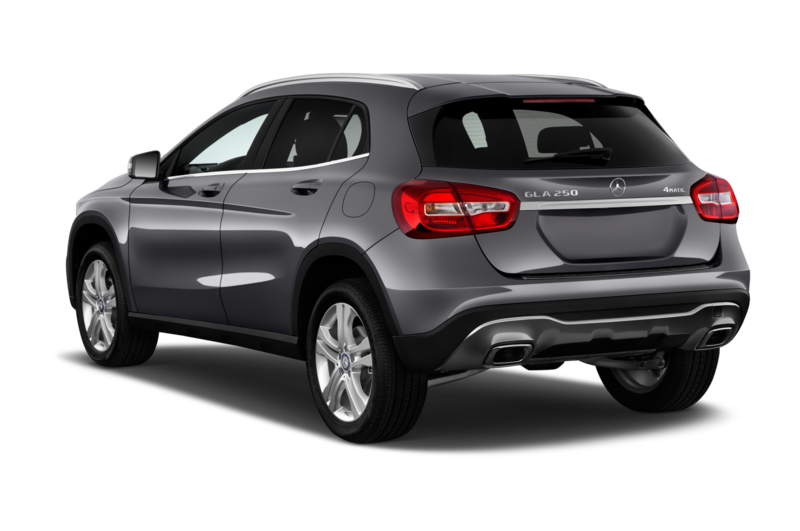 Expect starting prices of around $33,000 for the 2018 GLA250 and $50,000 for the 2018 GLA45 when they arrive in dealers this summer.